Star Trek fans would recognize the Duterte administration’s chosen course of action as a “Kobayashi Maru” solution. A re-writing of the rules of the game to win a “no-win” scenario. A favorable solution to the China-problem requires levels of out-of-the-box-thinking at the executive level traditionally absent from Malancanang. It calls for a uniquely Filipino solution that matures relations with traditional allies -- that are more accustomed to either an overly agreeable Philippine stance or a mendicant mindset; engages non-traditional players to broaden the country’s geopolitical engagements, and redefines PH-CN relations to the Philippines’ advantage. If China were a bully, Option 1 would have started a fight with the bully that could only end with us in either a wheelchair or the grave. Option 2, surrender, would leave us with nothing. Option 3 would have us pick a fight with the bully while hiding behind a big, but distracted neighbor that retains the option to go to the movies whenever he wants . . . regardless of our fitness to resort to option 1 when we are left alone. While the need to continue, even accelerate, the AFP modernization program remains, Option 4 will not be achieved by a feat of arms, as the Philippines currently lacks the martial power to enforce its policies, and its allies remain uncommitted to support Philippines claims. It will not be a result of international pressure, as force and shame simply gives China a domestic-politics-based incentive to dig in its heels. It will require the use of a mix of incentives, gamesmanship, and polite resolve, to maneuver the kleptomaniac dragon into recognizing our claims, and to conduct its activities -- whatever they may be -- on our terms. IF this plan works . . . it will be a triumph of unconventional diplomacy AND financial deterrence. 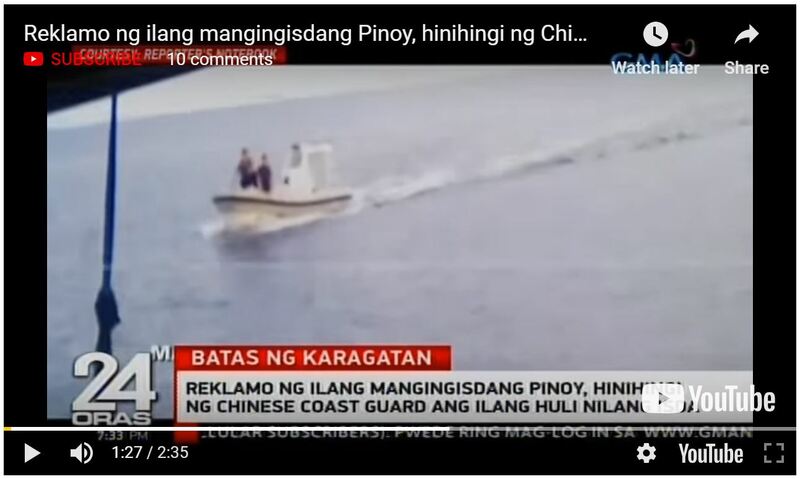 Chinese financial self-interest -- not the threat of war -- will force China to respect Philippine law and Philippine claims. Cowering behind our allies in the hope that they would fight our battles for us while we have no practical means to join the fight alongside them, and hope that our economy doesn’t stall in the meantime as they finish OUR job for us. Would the US and our other allies really want to fight for us while we had no skin in the game? It’s worth noting that merely agitating China with diplomatic protests isn’t actually synonymous to “skin in the game”. Poking the dragon without an overall plan for success is a plan to fail. Option 4 shows our allies that we have matured as a nation, are able to think for ourselves, and is now a capable partner for any nation that chooses to call us friend, rather than a dependent state to be propped up. The key to understanding The President’s intentions is remembering that he is a nationalist first . . . all other labels second. Not communist . . . not internationalist . . . it is Pinoy-first. Any actions in pursuit of that holy-grailish 4th option must, therefore, be viewed in this context. Words are infamously cheap. Therefore the average Filipino understandably expects to see proof of Duterte’s policies. On May 29, the Department of Foreign Affairs revealed that there were “red lines” that it said would indicate that the 4th option was not working. Namely: A change in the status quo in Scarborough / Panatag / Majo Masinloc shoal, any moves taken against the garrison on Ayungin Shoal, onboard the BRP Sierra Madre. Despite having virtual control over the shoal since 2011, the island building campaign on Philippine shoals undertaken in Subi and Mischief Reefs in 2015, have not been replicated on Panatag . . . at least for now. For as long as that status quo remains, then that is actually a win for the 4th Option. 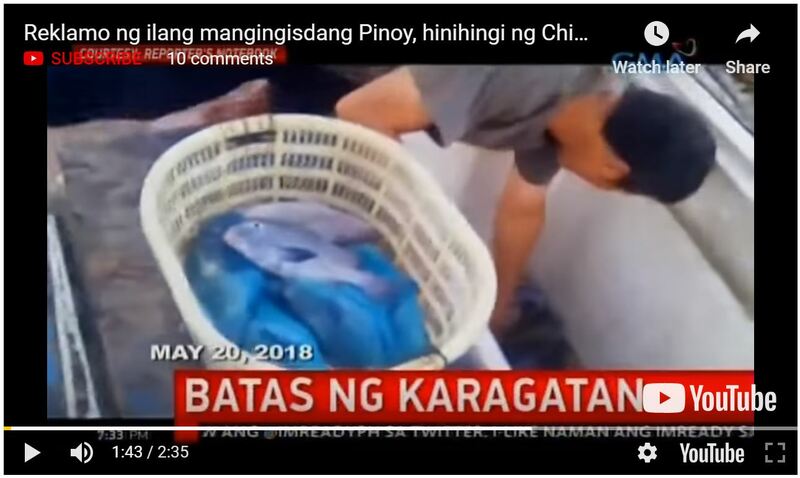 Recently, the plight of Filipino fishermen from Masinloc town, that depend on Panatag for their livelihood were brought to the spotlight because of harassment by Chinese Coast Guardsmen who would selectively confiscate their catch. While this disruption of livelihood is unacceptable, it is worth noting that up until the the closing months of the Aquino administration, Filipino fishermen were not even able to approach Panatag without being told to leave. As intolerable as the sight of Filipino fishermen being robbed of their catch is . 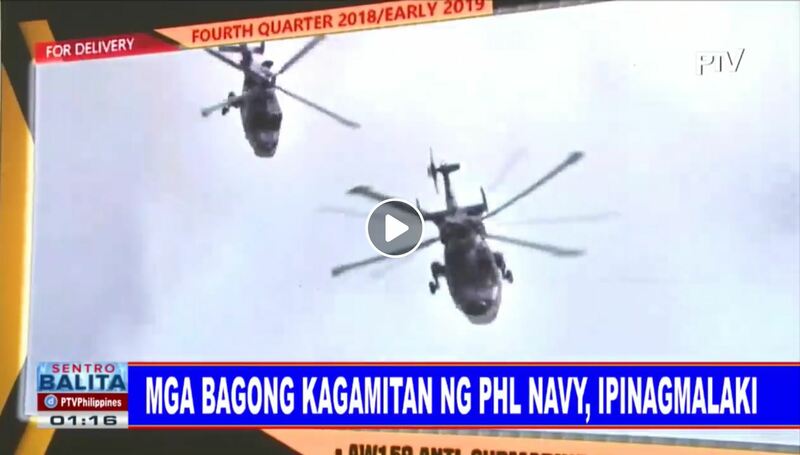 . . in the grand scheme of things, this remains an improvement of over what activities that transpired prior to 2016 In the video below, fishermen who sought shelter in Panatag from rough seas were actually forced to leave with water cannons. A virtual quarantine of the shoal had been in effect since 2012, as an Al Jazeera news crew experienced for itself. Relaxation of this quarantine policy started shortly after the change of administration in 2016. By any rational measure, this is a CLEAR win for the 4th option. Filipino fishermen still lack full, unfettered access to the fishing grounds to which they are entitled by Philippine and international law. But enduring extortion remains a step-up from quarantine. In February 2018, the Philippines and China established a communication channel for grievances. 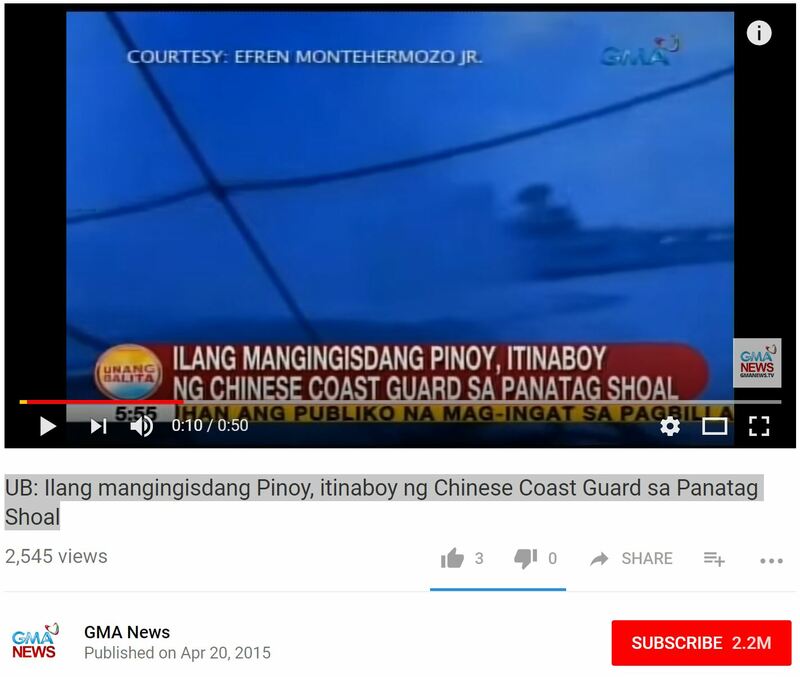 Upon receipt of the report about the conduct of Chinese Coast Guardsmen towards Filipino fishermen, the Department of Foreign Affairs reportedly escalated the grievance to their Chinese counterparts using this mechanism. Only time will tell how this progresses. On the matter of what is being done. In keeping with the objective of de-escalating tensions, the Duterte administration has deliberately been low-key in its efforts to improve its defenses on Pag-asa. As a result, releases of information are few and far in-between and only available after completion of the activity. Whereas the previous administration would publish plans years in advance and often under-deliver . . . the current administration actually takes the opposite track, going so far as to either claim that defensive measure aren't worth doing, or down play their value, but quietly implement these defensive measures. It is an approach that feeds the "flip-flop narrative", and continues to provide the vocal opposition with sound bytes. But remains in-keeping with the overall strategy. On April 2017, the administration publicly issued a directive to bolster its defenses in the Kalayaan Island Group. Within that month, the Secretary of National Defense, Sec. Delfin Lorenzana, visited Pag-asa Island in the KIG via a C-130 transport aircraft, and in the shadow of the Philippine Navy flagship, the BRP Gregorio del Pilar, to inspect existing facilities. It is worth noting that cabinet-level representatives of the previous administration never mounted such a display. In August 2017, the Philippine Navy was permitted to reveal noticeable improvements in the material condition of the Ayungin Shoal outpost. While photos of improvements within the ship were never revealed, photos showed to select community members -- in confidence -- revealed noteworthy improvements to the habitability of the grounded ship. Such secrecy is in keeping with the administration’s fence-mending policies. However, satellite photos of ongoing repairs to Rancudo airfield on Pag-asa Island provided conclusive proof that despite the ongoing “charm offensive” with China, the administration was not actually meekly surrendering territory in pursuit of the dreaded “Option 2” . . . and that Option 4 was well underway. The Philippines has begun long-delayed repairs to its crumbling runway at Thitu, or Pag-asa, Island, the largest of its nine outposts in the Spratly Islands and home to upwards of 100 civilians and a small military garrison. Thitu sits just over 12 nautical miles from China’s air and naval base at Subi Reef, and was the site of a tense standoff with a Chinese flotilla last August. Philippine defense officials in April 2017 announced that they would be upgrading facilities at the country’s occupied islands and reefs, but little work was apparent until now. In addition to the runway repairs, a comparison of recent imagery with photos from February 2017 shows minor upgrades to facilities on Thitu and three other outposts in the last year. Satellite imagery from May 17 shows two barges anchored just off the western edge of the Thitu Island runway, which collapsed into the sea years ago. It appears that a grab dredger, consisting of a crane with a clamshell bucket, is installed on the smaller barge to the west, while the other carries a backhoe. Loose sediment from dredging can be seen in the water around the two barges and freshly-deposited sand is visible along the northern edge of the runway. This method of dredging is similar to that used by Vietnam at several of its outposts in recent years. While still harmful to the marine environment, it affects surrounding reefs at a smaller scale and is far less environmentally destructive than the suction cutter dredging undertaken by China, which destroyed thousands of acres of reef from late 2013 to early 2017. According to 2014 reports, when repairs were previously mooted, the repair process would involve two steps. First, dredgers would clear a small harbor on Thitu near the runway. The coral reef surrounding Thitu makes it impossible for large ships to approach, as evidenced by the rusting hulk of the BRP Lanao del Norte, a Philippine Navy ship that ran aground in 2004 while trying to dock. Once dredgers have cleared a harbor and an approach, larger ships carrying the heavy machinery necessary to repair the runway would be able to dock and begin the second step, focused on the runway. In addition to the start of work on the runway, other upgrades are visible around Thitu. At least seven new buildings have been constructed in the last year, with four near the residential area on the eastern side of the island, one near the administrative facilities at its center, another along the northern shore, and one at the western end next to the island’s basketball court, which has received a fresh coat of paint. Defense secretary Delfin Lorenzana said in November that the country had started building a new beach ramp to more easily bring in supplies, but that site cannot be seen in the May 17 imagery due to cloud cover and no new ramp was visible as recently as February. The eroded airstrip on Philippine-occupied Pag-asa Island (Thitu) in the West Philippine Sea (South China Sea) will be completed before the end of next year, Defense Secretary Delfin Lorenzana said. Asked about the status of the rehabilitation of the island, the defense chief said the construction of the beaching ramp continues and may be finished by yearend. This will allow ships to transport construction materials for the runway later on. “They are trying to build the beaching ramp. We need the beaching ramp because, without that, we cannot bring any equipment, we cannot bring in the bulldozers, plus the materials to rebuild the runway,” he told reporters Tuesday on the sidelines of the formal acceptance ceremony of a surveillance system from the US. LONG-NEEDED UPGRADE A May 17 satellite photo (left) from the Washington-based think tank, Asia Maritime Transparency Initiative, shows two barges off the western tip of the airstrip on Pag-asa Island dredging the seabed to repair the dilapidated runway. The May 16 photo at right shows a closer view of one of the barges at work on the 1.3-kilometer crumbling coral airstrip that has become dangerous to aircraft. Contrast this to Aquino’s position of distancing itself from Pagasa. Despite having funds to actually undertake repairs of Rancudo airfield, previous SND Voltaire Gazmin admitted to congress that he halted repair efforts for fear of Chinese retaliation. Despite having one of the most active mayors in KIG history at the helm of the municipality, the previous administration opted to ignore Mayor Bitoonon’s pleas for aid for his island and for assistance against Chinese poachers who who were harvesting giant clams at the time. The red tape and excuses are documented here. Switching the contrast back to today, even one of the current administration’s vocal international critics, the Asia Maritime Transparency Initiative (AMTI), begrudgingly admited that Option 4 had caused China to pause to re-assess the situation. AMTI also provided satellite imagery of physical improvements to Rancudo airfield. Arguably, step one for the process was a reboot of PH-CN communications since diplomatic relations were considerably strained during the previous administration. This is an all-important precondition because if we're not talking . . . there can be no negotiation . . . and in this diplomatic climate, the Chinese would be hard-pressed to signify acquiescence to our demands without fear of losing face. Aquino opted for an overtly anti-Chinese stance. For the 4th option to work . . . a dialogue had to be restarted. Reaction to the lengths to which the Duterte undertook this necessary first step varied. For observers who are unfamiliar with Duterte’s methods, are skeptical of his 20+ years of fiscal, executive, and legislative experience, are incapable of thinking beyond regionalistic concerns, or simply not mindful of the need for a 4th option, his words were at the very least nauseating, and at worst horrifying. Jokes that invited China to turn the Philippines into a Chinese province were met with disgust and outrage. Duterte's vehement anti-US rhetoric, was outright shocking and often attributed to a socialist, if not pro-communist, predisposition that would end with capitulation to the whims of the Communist Party of the Philippines (CPP). A notable number of long-time fixtures in PH defense social media -- including a number of self-declared defense analysts -- heralded the end the country’s alliances with its traditional partners — US, Japan, ASEAN, etc — in the wake of the litany of tirades launched in the opening days of the Presidency. Whether or not the administration went overboard with this phase of effort -- derided as “appeasement” by impatient critics -- is for future historians to assess. But today, the policy remains polarizing. It is, however, important to acknowledge that today, contrary to these ominous narratives, the health of relations with the country's allies actually remains unaffected. Well into the administration’s second year US-PH relations has itself gone thought its own reboot from a low point at the start of the current administration. Japan continues to provide aid despite a supposed “slight” due to a rejection of an offer for missiles. Diplomats and defense officials of our allies are simply taking the unfamiliar verbiage in stride. On the domestic front, the health of US-PH relations were actually affirmed during the Battle of Marawi where the US contributed to defeat of ISIS sympathizers in a multi-month battle. 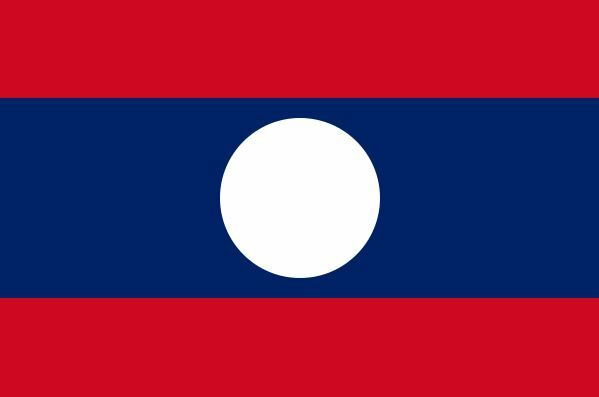 To the apparent surprise of the CPP leadership, the President had leveraged the party's lack of effective control over its military arm -- the New People's Army -- as means to paint the organization as a fractured organization that did not deserve status as a "belligerent state", and affirmed the government's role as the sole enforcer of law and order. This disparity between dismissive or pessimistic headlines and the ACTUAL state of relationships is no surprise to observers who are already familiar with the President’s penchant for hyperbole — which is actually common for his generation Visayans, especially those who are politically inclined. This is simply “classic Duterte”. A brawler for whom all legal options were the table — from threats to sugary flattery — all of which could be brought bear to match the intended audience. A key takeaway from this disparity between what pundits say . . . and what actually takes place . . . is that despite insistence to the contrary, there is a method to the President’s seeming madness. There is “a plan”. To understand Malacanang's actions, an observer must acknowledge -- even begrudgingly -- that the administration is "nationalist" first, all other labels second. All actions, no matter how outwardly chaotic are ultimately directed towards a single nationalistic -- albeit provincially-biased -- agenda (see Metro Manila will be dead in 25 years). Using this nationalist slant as a guide to understanding Duterte's dealing with China, one can take the adage “The enemy of my enemy is my friend” and transform it -- in a PH-China context -- into “To make a friend of my enemy, make him believe we have a common enemy”. Hence the seemingly baffling anti-US, anti-West, rhetoric. This is all part and parcel of geopolitical theater designed to play on China's perceived historical "injustices" at the hands of the west, Japan, and other enemies. All this is done to implement the 4th option, and NOT actually an attempt to destroy existing favorable relationships. This approach banks on the strength of US-PH relations. The US understands that overall Filipino-on-the-street sentiment remains predominantly pro-US. The US also knows that its diplomatic and military relationships run deep throughout the bureaucracy. Its mind-share in the Philippines is as secure as it has always been, and it will take more than one administration to change that. The administration is equally aware of these relationships, and is taking calibrated liberties with its ties with the US to dial-down tensions with China -- by making it appear that it was making a pivot towards China at the US' expense. Duterte knows fully-well that had it actually been possible to undo PH-US ties in a single administration . . . then the "special relationship" with the US would be exposed as a lie . . . and the President's public distrust of the US would have been proven true. Either way, it was a risk worth taking. The President knew that US-PH relations would survive such gamesmanship . . . and has leveraged it to the hilt. It is worth noting that the administration is careful about making outwardly hostile verbiage with the Philippines' other allies. Note the generally conciliatory tone that Duterte takes towards Japan, South Korea, and other South East Asian neighbors. DAVAO CITY, Philippines – Japan is and will always be a true friend of the Philippines, said President Duterte as he cited gains from his three-day state visit to Tokyo. “I discussed with Prime Minister Shinzo Abe in full detail the state of Philippines-Japan ties and we identified points of collaboration that would lead to a common path towards the achievement of shared objectives,” the President said. The President stressed that by all counts and by any measure, the Philippines’ relation with Japan is excellent. “Economic cooperation remains a linchpin between our dynamic relations. As I sought greater partnership to create an enabling environment for both our businesses to thrive, I encouraged private businesses in Japan to invest in the Philippines,” the President added. The President likewise cited Japan’s being the No. 1 Official Development Assistance partner of the Philippines. Since China is the prickly neighbor that had to be "won-over", to redirect them from their island-building mindset, naturally the tone of the conversation had to be overly positive. Therefore, giving in to the demands of the opposition to take a hard-line stance against China -- backtracking towards an Aquino-style "3rd option" -- would be counter-productive. It would undo progress already made in this all important first step. At the end of the day, only the people that didn't, couldn't -- or flat out refused to -- understand the delicate balancing act would insist on a public display of protest and depart from the recently-created bilateral communication mechanism. As for low-key, bilateral communication with the Philippines' traditional allies, expanded participation in the recently concluded Rim of the Pacific (RIMPAC) exercise -- where China was actually dis-invited -- should already provide indication that these allies are appraised of the situation. Where once there was US resistance to being given access to advanced weaponry, there is now greater access as shown by the photo below. To the consternation of the same pundits, the outrage at the President's actions actually lends credibility to the President's feint-to-China. The vehemence of opposition to the pro-China rhetoric, which includes an ongoing effort to impeach Duterte for his policies, actually reinforces the plausibility of these efforts and presents China with a basic conundrum: "Does it take Duterte's overtures at face value, or could it actually get a better deal with the next President?" Thanks the opposition . . . the latter appears unlikely. Consequently, the dragon now is under pressure to close deals as fast as possible . . . and hopefully without the same kind of due diligence it normally would, which could very well be to our advantage. Ergo, the more outlandish the jokes and statements and the more vehement the reaction from the opposition, the louder the ticks on the constantly winding-down Duterte clock will be for China. If all these are played right, the more agreeable China would be for a mutually favorable resolution. As for our allies, the new US ambassador appears to have found his footing. As already stated earlier, Japan has actually increased its commitment. On the domestic front, the President continues to enjoy broad base support. Once a dialogue is established, the next step is to test that relationship with activities that are, at the very least mutually beneficial, if not heavily slanted in favor of the Filipino people. Conducting joint military exercises is a quick-win, as it establishes lines of communication that could be called upon in the event of contentious encounters. For example, both countries pledged to work towards greater cooperation, and establish a hotline between their respective coast guard organizations in December 2016. Bilateral exercises are also being considered. For commercial engagements, oil exploration is a logical starting point. With Malampaya nearing the end of its useful life the Philippines needs to find a viable replacement and find it fast. Otherwise we will lose an irreplacable revenue stream for the AFP Modernization Trust Fund, which is allowed the DND-AFP to receive funds beyond what is allocated by the National Budget. 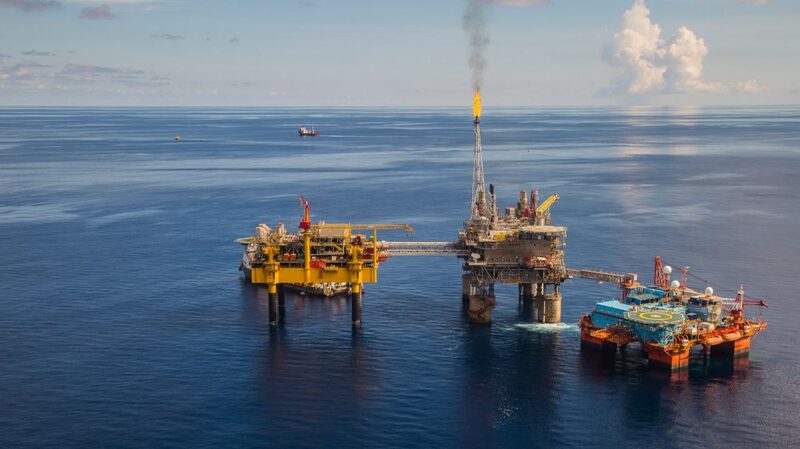 The Department of Energy has identified numerous potential drilling sites around the country for petroleum exploration, both within Philippine territorial waters and within the country's EEZ. 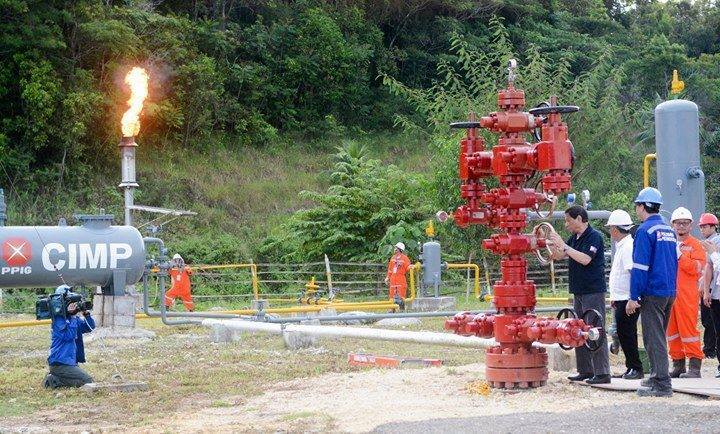 Whether it be by design, or by happy circumstance, the first drill site to reach commercial viability is a site whose Service Contract had already been sub-contracted to a Chinese company for exploitation: The Alegria Oil Field in Cebu. President Rodrigo Duterte dials the valve of one of the Polyard wells and the pipe (left side) lights up which signals fuel is coming out. The oilfield is located in Alegria, Cebu. Photo by Arni Aclao. 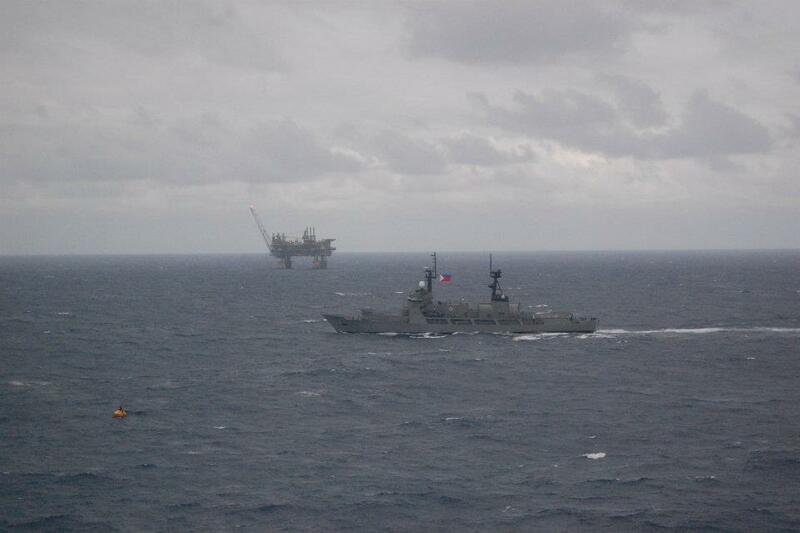 Not only does the Alegria field serve as a viable supplement, and eventually an alternative, to Malamapaya, it serves as an acid test for PH-CN cooperation, which can then be use a template for future collaboration -- even in the contested waters of the West Philippine Sea. The Alegria Oil field is not the only opportunity to test China's ability to behave itself. The Calamian oil field, which is covered by Service Contract 57 and had been awarded to a Chinese company since 2006, would be an incremental increase in Chinese involvement. Like Alegria, Calamian would be clearly within Philippine territory, and thus conducted under Philippine laws. Presidential Spokesperson Harry Roque issued the statement days after he announced that there are two areas that may be subjected to joint exploration by the Philippines and China, namely SC 57 and SC 72. “As far as 57 is concerned, they will comply with the decision with La Bugal [ruling]. They can participate in exploration and exploitation provided, as the decision says, we have ultimate control over the exploration and the development,” Roque said. The Palace official also confirmed that China would be under the control of the Philippines during the joint exploration on SC 57. “They’re only a foreign entity engaged in exploration and development. But they have to do it under Philippine laws,” Roque said. These test cases are not only important for PH-CN relations, it is also important for the morale of the country. While Duterte's supporters remain as rabid as ever, and Social Weather Survey results show that the President continues to enjoy healthy popular support it, remains important to help the "the other side" get past the obfuscation-laden discourse and, at the very least, reach a common understanding of the plan. Because it is only with that common-understanding that a rational discussion about the merits, and demerits, of the plan can be had. 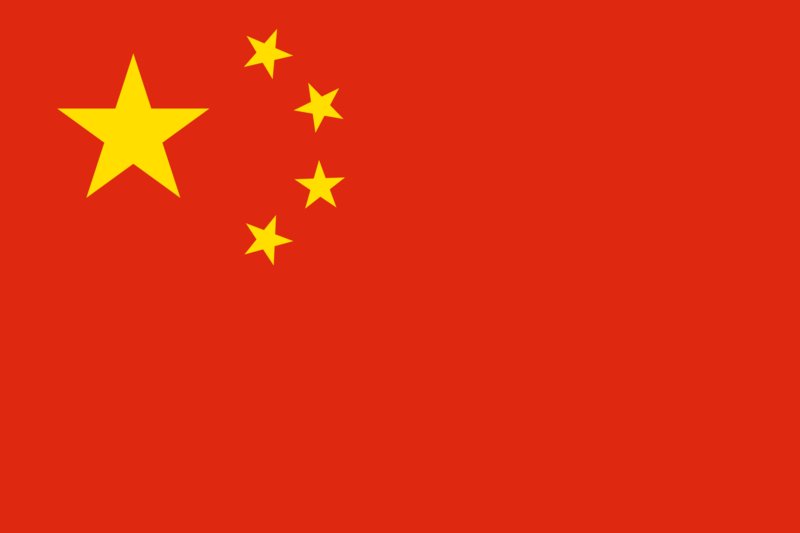 For both supporters and critics, ventures like the Alegria Oil field provide an opportunity to observe how the Chinese government conducts business, and see for themselves if China will attempt to replicate the horror stories reported in other countries: from debt traps to deals that allegedly impose a form of neo-colonialism in partner countries. While the administrator's detractors point to these international examples as the inevitable outcome of the President's pivot-to-China and are integral to their allegations of Duterte's intent to "sell-out" to China, the 4th option actually requires the country to muster the fortitude to court danger -- to create the monetary incentive mentioned earlier and coax China have skin-in-the-game with a rules-based relationship with the Philippines -- while firmly keeping all enforceable agreements within the bounds of what is in the best interests of the Philippines. Step 1 initiated a re-boot of CN-PH communications. However, this could only halt Chinese encroachment and buy time for subsequent steps. Desperate times called for desperate measures and the administration did not shy away from resorting to unconventional, even embarrassing, methods that critics have labelled as anything from "appeasement" to being outright disgraceful. Thus far, despite the controversy over these triage measures, this approach appears to be working. Step 2 established mechanisms designed to acclimatize China to observing Philippine law. Activities in this stage range from establishing hotlines between Chinese and Philippine agencies, to leveraging Department of Energy Service Contracts to open commercial activity with Chinese companies. Theoretically, Chinese investment in ventures that required a measure of stability in CN-PH relations would create financial incentives for the Chinese government to "behave" in it its dealings with Philippines. Financial self-interest on part of the Chinese -- not the threat of war -- was the administration's preferred approach for de-escalation of tensions, and for achieving the previously stated goal of getting China to accept the Philippine point-of-view. Step 3 builds upon whatever progress the previous steps achieved. This would require even greater commercial engagement with China. So much so that it would actually compel China to respect Philippine law and Philippine claims, to avoid jeopardizing these investments. Therefore, instead merely fearing Chinese embargoes on Philippine goods as things stand today, Duterte's desired end-state would have China experience "economic pain" should it choose to violate Philippine interests. Of the three steps, this is arguably the most challenging, and the one that must be handled with the most care. In an ideal world, this step would not even be undertaken till after achieving national-buy-in to the "4th option". But with the 2 of the 6 years of the administration already part of history and much more that to be done in the same unconventional manner as in previous steps -- Duterte has little choice but to forge ahead with his existing mandate. The irony of the disconnect between the President and his critics is that they are both ultimately moving towards the same objective. The 4th option, particularly Step 3 discussed here, will actually better enable protests like the one shown below by making them more meaningful. 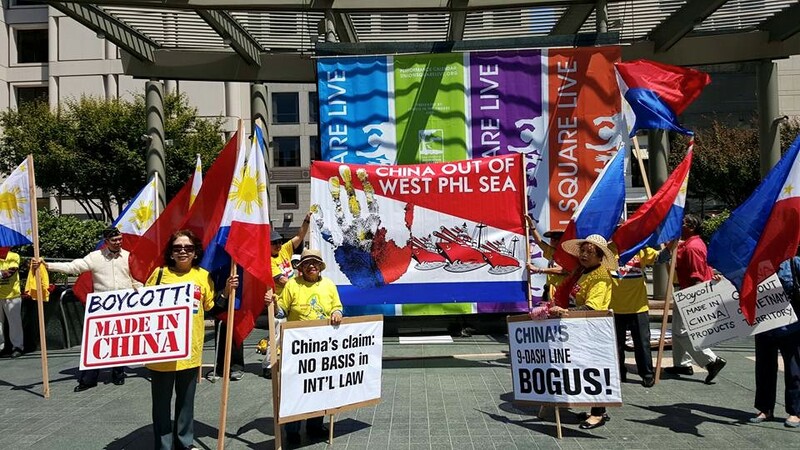 Conducting a boycott like this today -- as the administration's critics insist, as "proof" of his allegiance to the country -- would ultimately be futile, as China is not sufficiently invested in the Philippines to be affected by it. Once commercial engagements related to the 4th option take hold, the Philippines would actually have resources that it could boycott, that would be of value to China. The pain points that a Philippine reprisal to Chinese aggression could range from nationalization of Chinese assets to cessation of loan payments. The country's PRIMARY defense, therefore, lay not in fighters, missiles, or submarines. Instead, it lay in the threat of economic retaliation -- essentially taking a page from the Chinese playbook and using it against them. The DND-AFP would then be used as a SECOND line of defense should China retaliate with force -- an act that would present our allies with "righteous justification" to come to our aid . . . IF it were even needed in the first place. In contrast, Carpio's 3rd option could actually be spun as a juvenile poking-of-the-dragon. Political support for instigation -- as opposed to retaliation as would be the case with the 4th option -- would arguably be weaker, if not non-existent. Step 2 created preliminary commercial engagements c/o of cooperation in the energy sector. However, to achieve the desired effect of creating a meaningful economic deterrent, much larger engagements -- valued in the billions -- would be needed. It is clear that the vehicle for this deterrent would be China's Belt and Road Initiative (BRI), and the associated loans. A strategy for winning, rather than a strategy for "how not to lose"
While the list above is, by itself, dauntingly ambitious, the ultimate challenge to the "4th option" was the fact that it would be virtually impossible to complete them in the time that was left on the administration's term. The various programs designed to prepare the country to retake its own EEZ, would require a succession of administrations to implement, and it will require a whole-nation effort that will require multiple executive departments to work together to shepherd the effort. The Department of National of Defense cannot conceivably undertake this alone. Only time will tell if the policy endures. If the Philippines is to muster the economic resources to be able to defend itself against Chinese aggression, it cannot focus solely on its collaborative efforts with China on the energy sector, or on the generosity of its allies such as the United States. It actually needs genuine progress as a nation. A sustainable response to Chinese aggression isn't just about buying weaponry, it is actually about making the Philippines -- as a country -- globally competitive. A globally competitive Philippines is a national imperative, and essential for the defense of the Republic of the Philippines. As part of its mandate to promote national progress, the National Economic & Development Authority (NEDA) maintains the Philippine Development Plan. This plan outlines how the government intends to improve the lives of the citizens it is supposed to serve. 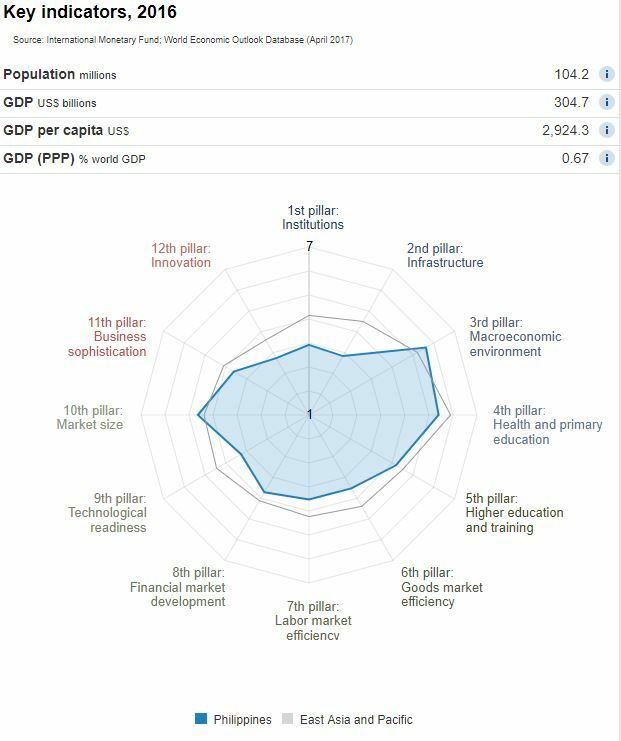 Among the metrics it uses measure progress of the plan is the annual Global Competitive Index, maintained by the World Economic Forum. This index ranked perceptions about the difficulty of doing business in specific countries. According to the Competitiveness Report (WEF-GCR) 2015-2016, the Philippines ranked 97th out of 140 countries in terms of quality of road infrastructure and 84th our of 140 countries for the quality of rail infrastructure. The following spider chart shows how the Philippines compared with other countries in East Asia and the Pacific. One key area where the Philippines lagged was infrastructure. Addressing this deficiency will enable improvements in other areas of national concern. Bridges and roads that allow the transport of goods and services for the benefit of the national economy, will also allow the Armed Forces of the Philippines to respond to threats and crises faster and with more resources. The trillion-peso question, therefore, is: If the Philippines needs to invest in its infrastructure anyway, why not use this need for investment as an opportunity to leverage the 4th option? Enter the administration's much maligned "build, build, build" program, which seeks to initiate, or complete, 64 major infrastructure projects whose total value is expected to reach PHP1.832 trillion by 2022. This flagship program is essentially an acceleration of construction programs that had been started as far back as the Marcos administration. Elements of the plan actually dovetails with the 70s-era Philippine Japan Friendship Road, whose landmark achievement was the completion of the San Juanico Bridge. 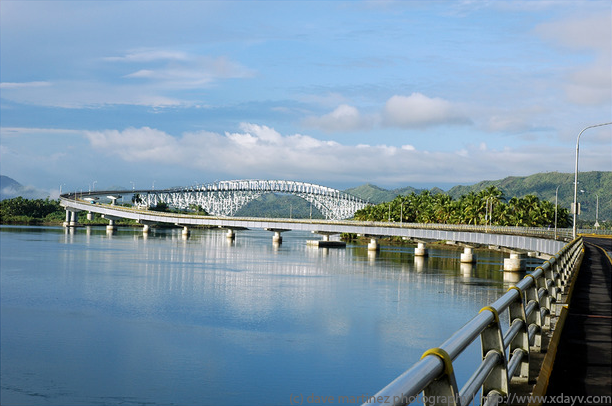 Linking Western Samar to Northern Leyte, the San Juanico Bridge is the vitak link in the projected 1,500 km. Pan-Philippine Highway. Strecthing 2.16 km., this is the country's longest steel bridge at that time. Concrete approach roads total 7.62 km. on both ends of the bridge. The bridge has abutments founded on steel H-piles. Piers are rock seated pedestals built by the "Prepakt" method, having single cylindrical shafts and tapered cantilivered copings. The superstructure consists of 43 steels spans, the main being 192 meters long. The bridge has aluminum railings and is illuminated with flourescent mercury vapor lamps. It provides airway beacon and navigational lights at its center span. The need to bridge the major islands of the archipelago has been on the national agenda for decades, but had never gone beyond the planning stage. Duterte sought to realize these dreams -- among others -- as a way to jump start development of the countryside, and he wanted to start as many of these projects during his term. Other bridges in this plan appear below. 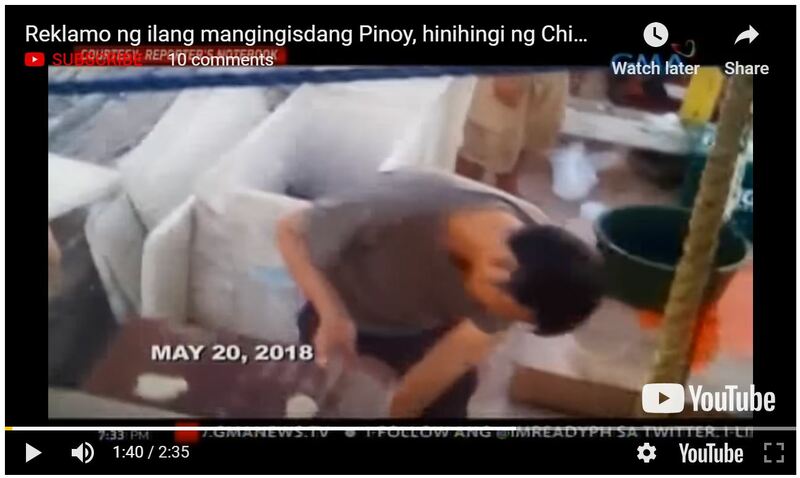 Heavy media reporting on Chinese interest in participating in infrastructure projects, visibly egged on by the President who openly welcomed Beijing's involvement, drew vehement criticism from observers who branded Duterte's behavior as "selling out to China". 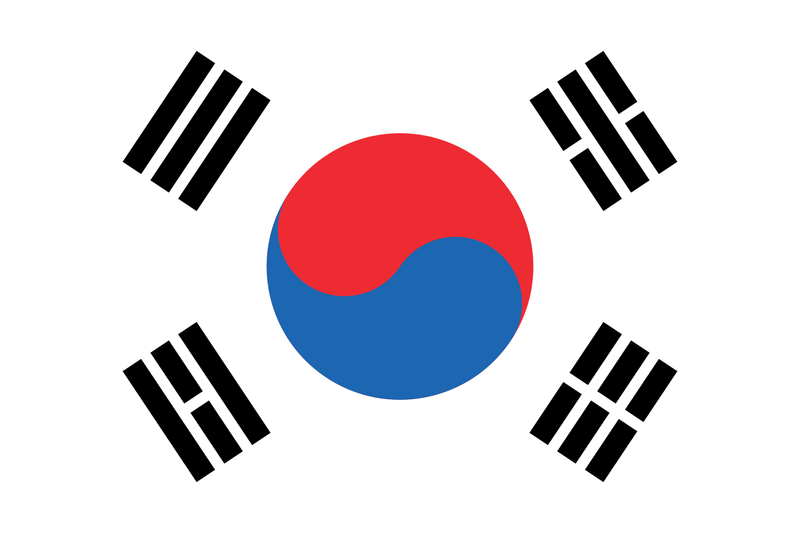 Critics often question the wisdom of entertaining loan offers from China given the availability of historically superior offerings from either Japan (between 0.25 and 0.75%) or South Korea (0.15% interest rate for 40 years). If the dangers posed by Chinese loans are viewed in complete isolation -- without thinking about the underlying strategy behind such actions -- the cautionary notes from Duterte's critics would be totally valid. There are, after all, many examples of countries that availed these credit facilities and then became indebted to China to such an extent that that their sovereignty is threatened. However, when Duterte's 4th option is taken into account, then it becomes clear that this risk has purpose. Any loans accepted from China are actually CALCULATED risks taken in support of Step 3 of the President's Kobayashi Maru strategy. 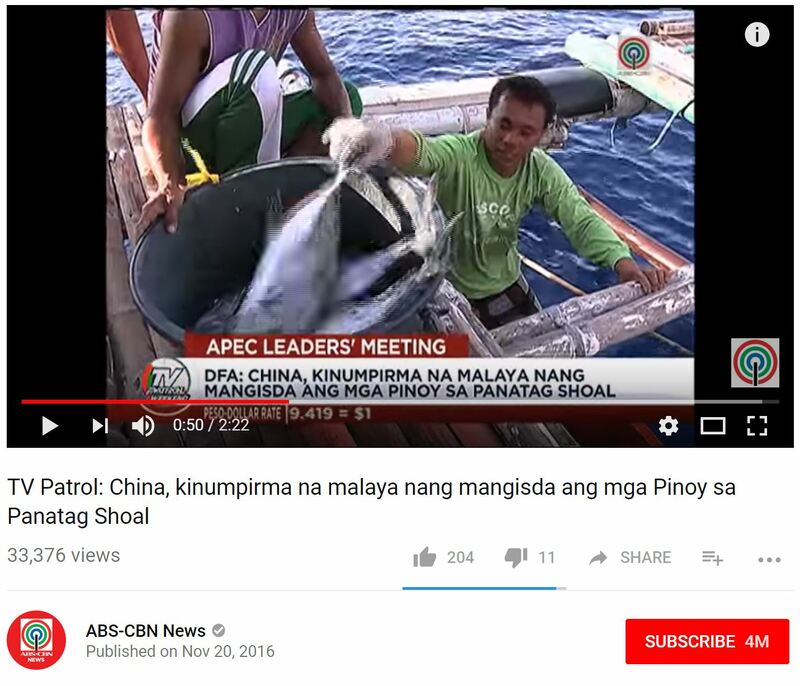 While counter-intuitive to sino-phobic observers, the power of the Philippines' retaliatory capability is actually proportional to the size of Chinese involvement in the 4th option. As will be discussed later, the Philippines is not alone in this approach. Malacanang is not oblivious to the advantages of loans from the Philippines' traditional lenders. In fact, the administration continues to court Japanese and Korean investment. While Japanese and Korean loans tend to be cheaper, geopolitical decisions have a role to play. The decision to avail of Chinese credit isn't solely based on prevailing interest rates: the 4th option. Socio-economic Planning Secretary, Ernesto Pernia, shared the following insight into the thinking behind exploring Chinese involvement. MANILA -- The Philippine government is securing financing from China for its infrastructure projects in an effort to fast-track their implementation, according to the country’s chief economist. During the joint membership meeting of the Makati Business Club and Philippine Chamber of Commerce and Industry on Wednesday, Socioeconomic Planning Secretary Ernesto M. Pernia said China charges the loans with an interest rate of 2 to 3 percent, while that of Japan is only at 0.25 to 0.75 percent. “We cannot get all the loans from the ODA (official development assistance) of Japan. They have to give to other countries as well… Between 2 and 3-percent interest rate is still much better than commercial (loans),” he told reporters. While the Philippines has long standing good relations with Japan, Pernia noted Japan’s slowness in the processing of projects. “We don’t want to be left behind,” he said, stressing China has been aggressive in financing Philippine projects. But Pernia, also Director-General of National Economic and Development Authority (NEDA), stressed that the country has not signed yet any loan agreement with China. He also reassured that mechanisms would put into place for Chinese companies keen on participating in the government’s infrastructure program. MANILA, Philippines– The government is "extra careful" not to fall into the Chinese debt trap, said Socioeconomic Planning Secretary Ernesto Pernia on Wednesday, June 27. "Given the various experiences already felt by the other countries that have already dealt with China, we are more cautious," said Pernia, the director-general of the National Economic and Development Authority (NEDA). The socioeconomic planning chief was reacting to recent news reports underscoring how a port in Sri Lanka was taken over by China because the former could no longer pay for it. Sri Lanka pushed through with the $1-billion project despite feasibility studies concluding that it would not work. Pernia said only one China-funded infrastructure project has been signed and started. Chinese loans are not a replacement for credit facilities from Japan, South Korea, or our other traditional lenders. They simply diversify the credit-source mix by way of credit instruments that have a different -- arguably less stringent -- vetting process. 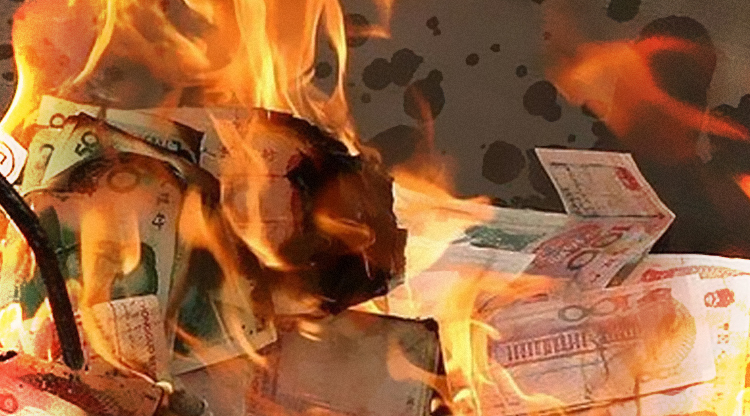 The high interest rates of Beijing's loans are the price of expediency and ease of access. 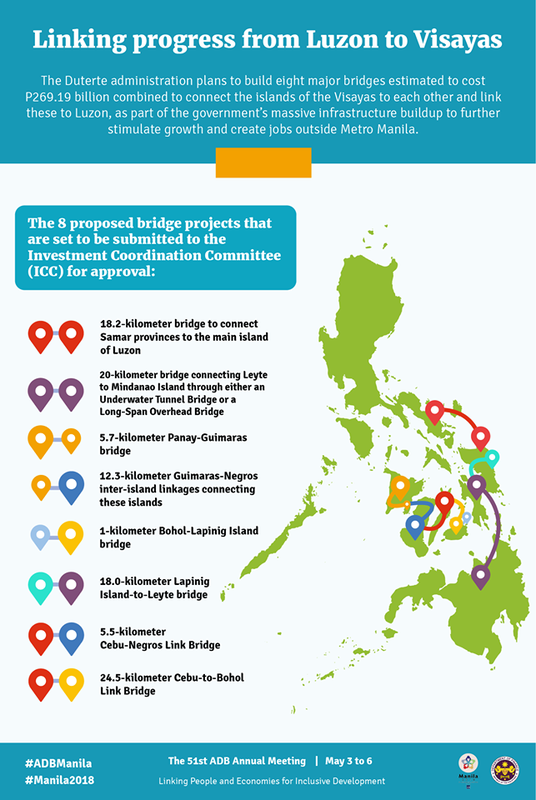 Consider how Tokyo, Seoul, and Beijing are involved in the Negros-Guimaras-Panay bridge. All potential lenders have been given a chance to conduct their respective studies, and present their respective proposals. While Japan has been party to discussions about these bridges since 1999, it will be interesting to see how China's arrival on the scene will shape how the project unfolds and what a blended approach to funding will look like. Japan International Cooperation Agency (JICA) completed one of the first, if not the first, feasibility study that defined the how, why, and what-for of the two-bridge project that would connect Panay, Guimaras, and Negros in 1999. While nothing came of the original project, which was then estimated to cost P53B, Japan's mindshare in the project was assured. With Japan's history of favorable rates, and existing relations with the bureaucracy, particularly the Department of Transportation, this makes Japan an obvious front-runner in this long-running effort. The Export-Import Bank of Korea has started making in-roads into the Philippine infrastructure-building and in 2016, signed the loan agreement that initiated construction of the P4.8B Panguil Bay bridge that would bridge Tubod in Lanao del Norte and the City of Tangub in Misamis Occidental. The bank has also started its own feasibility study of the two-bridge project. China Communications Construction Co., Ltd. (CCCC) stated its own feasibility of the bridge project and was expected to release its findings in 2017. In apparent recognition of the fact that it was late to the table, CCCC reportedly offered to conduct their feasibility study for free. An notable aspect of the Chinese offer, as related by DPWH Secretary Manny Villar, was that their plan reportedly would build both bridges simultaneously thus ensuring a faster return-on-investment for the project. There can be no reward without risk. The President is clearly banking on his economic team -- and inner-circle which includes the likes of Cesar Virata -- being able to navigate the country around the pitfalls of Chinese loans. Judicious use of these facilities would thoroughly empower the 4th option, and strengthen the Philippines' defensive position. It is also worth noting that "strengthening of defenses" isn't limited to industrial development or military power. It is also as much about giving the average Filipino a sense of progress. That their localities, their provinces, are given their due share of development and that wealth creation is not unduly concentrated in the capital. 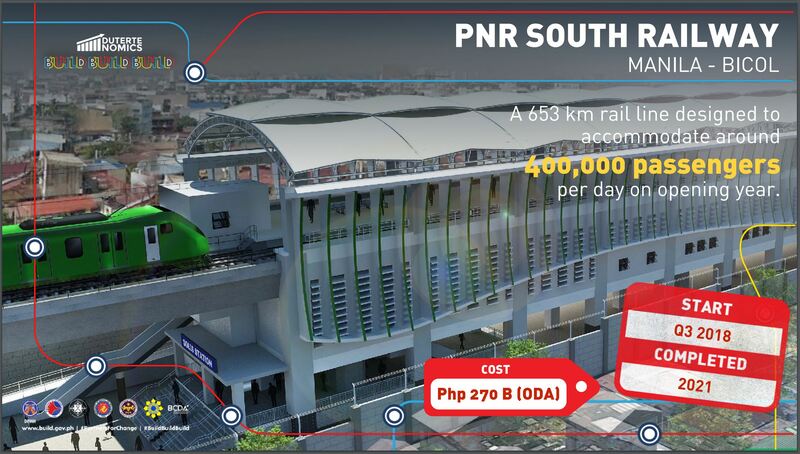 The boost to nationalist sentiment and the country's morale, that tangible pursuit of projects like the one below will cause will arguably be more sustainable than the short-term impact of patriotic displays inspired by public protests. While Carpio's 3rd option puts the cart before the horse, Duterte's 4th option works to get its priorities with the horse in order. With that nationalism . . . comes the political will to truly fund the country's defense . . . and with it, the means to prevail against China. 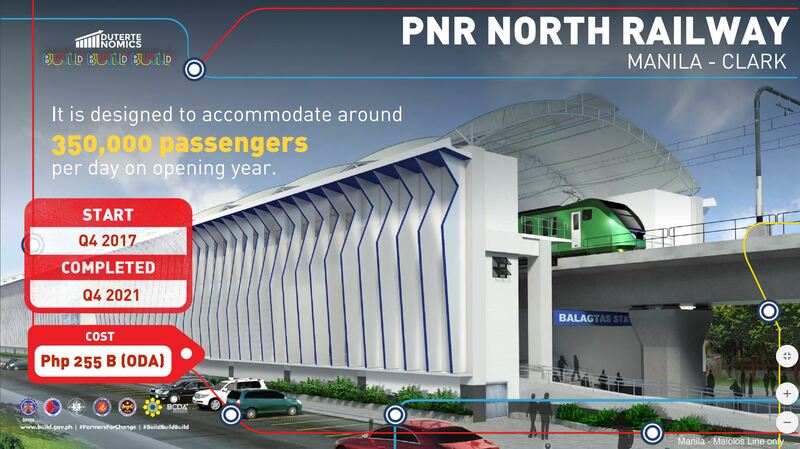 The current administration's efforts to rehabilitate the Philippine National Railway has been divided into its North Railway, which aims to build a railway from Manila to Clark Airport . . .
. . . and its Bicol Express from Manila to Legaspi City in Bicol. Whereas the North rail is financed by Japan to JICA and the Asian Development Bank, the Bicol Express is funded by China. 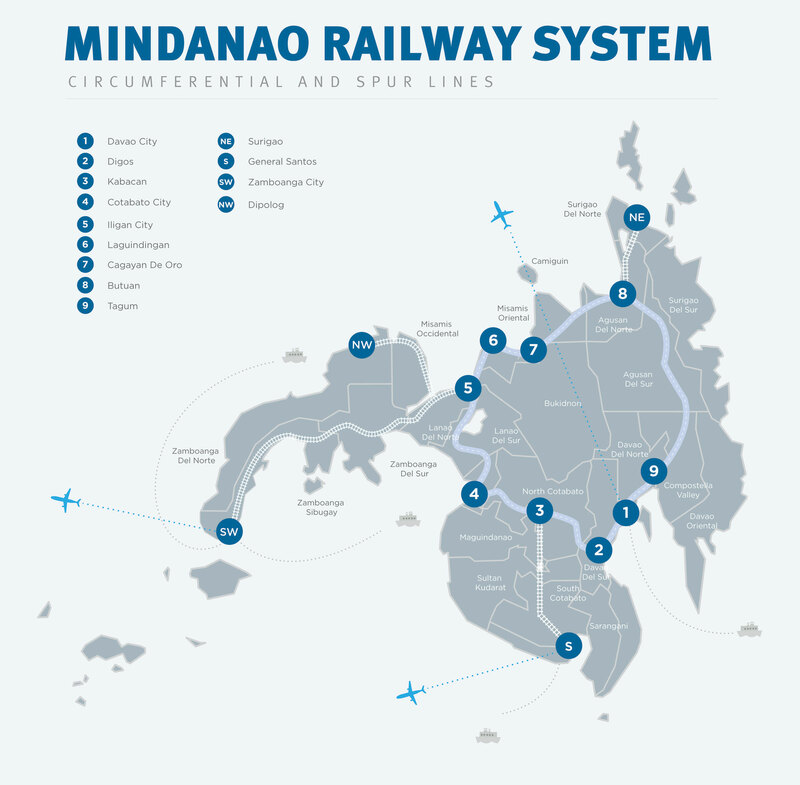 Beyond the railway system on Luzon, the "4th option" also includes the first ever railway in Mindanao. Learn from the experiences of Pakistan, Sri Lanka, et. al. When critics bring up the folly of joining Xi Jinping's Belt-and-Road Initiative (BRI), discussions inevitably involve the current state of affairs in Sri Lanka. Sri Lanka has become a cautionary tale for what can go very wrong when accepting Chinese loans. China-Sri Lankan cooperation started growing in 2007 when China provided military and diplomatic support for the country's efforts to crush Tamil rebels. After successful conclusion of that conflict, credit facilities were then applied to reconstruction efforts. By 2017, debt represented 77.60% of Sri Lanka's GDP. The country then had to resort to extreme measures to reduce its debt burden. See below. Hambantota port in southern Sri Lanka . . .
Hambantota was built by a Chinese company and funded by Chinese loans. But now Sri Lanka is struggling to repay that money, and so has signed an agreement to give a Chinese firm a stake in the port as a way of paying down some of that debt. The terms of the deal are still being debated in Sri Lanka's parliament, but the share it gives could be as high as 80%. While Philippine pundits are aghast at the prospect of Chinese loans with interest rates of 2 or 3 percent, which are significantly higher than the Japanese loans that between 0.25 and 0.75% or South Korean facilities that were offered at 0.15% interest rate for 40 years, Sri Lanka was granted an 8-year $1B loan -- which was designed to cover loan repayments that were coming due in 2019 -- with an effective interest rate of 5.3%. 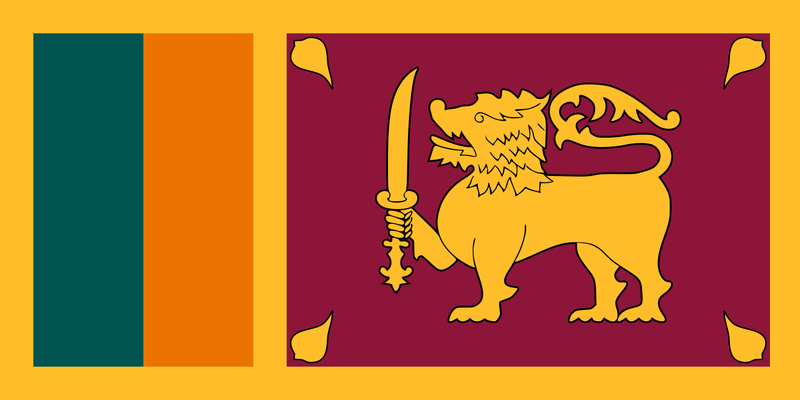 The difference between the terms offered to Sri Lanka and terms offered to the Philippines illustrates how direct comparisons between the experience of different countries are actually difficult to make. More details later in this paper. 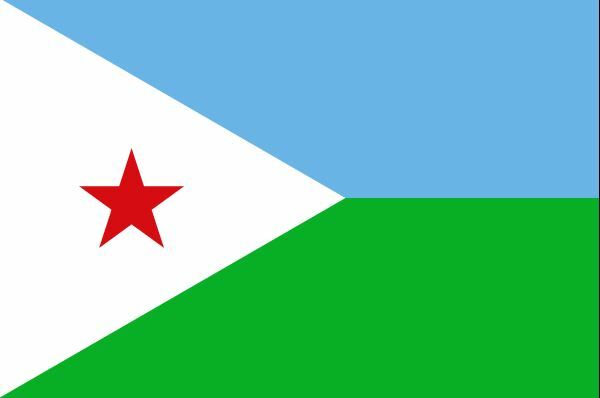 Djibouti has opened the first phase of an ambitious project to build an 18-square-mile, $3.5 billion free trade zone, the largest development of its kind in Africa. However, the initiative has also raised concerns about Djibouti's legal liability and debt burden . . .
. . . and financial analysts say that the construction costs will make the nation overly dependent upon Chinese financing. According to an analysis from the Center for Global Development, Djibouti has already accumulated government debt equal to about 85 percent of its GDP, almost all of it lent by Chinese entities. The debt could give China leverage to demand additional concessions, like rights for port operations or an increased forward-deployed military presence. How will African countries repay massive debts to China? Amid much fanfare, the Nairobi-Mombasa railway line opened in Kenya on May 31, 18 months ahead of the schedule. It represents the second major railway undertaken by China on the African continent recently, after the launch of Addis Ababa-Djibouti Railway in January. But there is strong doubt as to whether African countries have the financial capabilities to put such ambitious plans in action. In the case of the Addis Ababa-Djibouti Railway, for instance, its total building cost of roughly $4 billion is almost a quarter of Ethiopia’s 2016 government budget of $12.57 billion. Even at concessional rates, servicing and repaying the debt will be a significant burden for the government in the coming years and decades. It is unfathomable how that the government will be able to undertake other infrastructural projects even if the economy, and the government budget, grow at a steady clip, as it has done in recent years. It begs the question, then, of how African governments will possibly repay the Chinese for all this infrastructure construction. Given the ballooning amount of debt from more and more loans taken on to finance infrastructural developments in the future, African states are likely to require more than just portions of their limited budgets to complete repayment. More likely than not, many states will have to resort to payments in kind. The concept of “in-kind payments” smacks of colonialism in some ways. The historical precedent of European colonists comes to mind. Europeans built infrastructure in Africa at the turn of the century, purportedly also for local economic development, but in essence the projects were used for natural resource extraction. The state of emergency comes amid a high stakes game of regional rivalry. The inception of the crisis goes back to 2013, when Yameen staged a coup and wrested power from the country’s first democratically elected president, Mohammad Nasheed, who has since been living in exile in Sri Lanka. 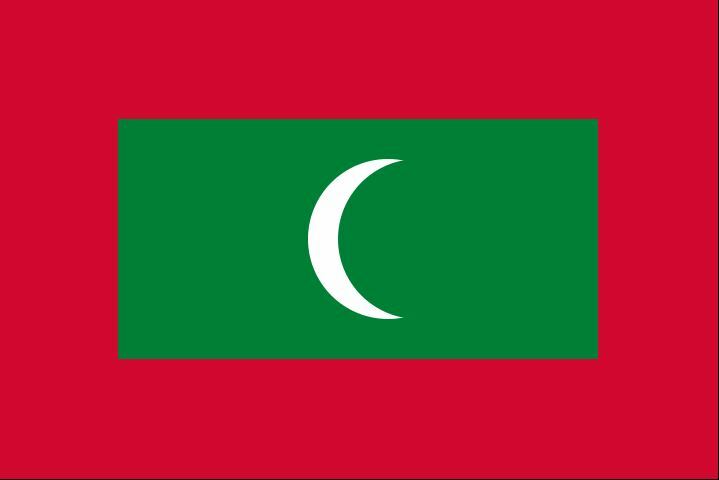 Soon after Yameen declared the emergency last month, Nasheed reached out to India and requested a military intervention to resolve the crisis. China can become a beacon for the world -- if it trades in its conservative foreign policy for one that emphasizes universal values. With Xi Jinping’s elevation to the presidency in March, China’s leadership transition is now complete. Yet Beijing still has not elevated foreign affairs to the top level of decision making — it still prioritizes its domestic situation, even though China is the world’s second-largest economy, with interests that stretch across the globe. Indeed, China remains constrained by its own internal problems, including the rise of nationalism; defects in democracy and human rights; lagging political reform; an unbalanced economy; and the dangers posed by a society in transformation. These problems mold Beijing’s current conservative foreign policy, which focuses on avoiding problems. When a problem happens, China’s Foreign Ministry mobilizes all of its resources to extinguish it — the same strategy it deploys with domestic affairs. Beijing’s international economic affairs policy, meanwhile, lacks principles. It needs to stop emphasizing profit and ignoring justice, and start emphasizing both. Its diplomacy now serves the domestic economy. As a country with a relatively low per capita income, and a relatively large number of poor people, that is necessary, for now. But economic diplomacy doesn’t mean ignoring human justice, or some of the most basic international moralities. Beijing has been giving up the moral high ground when it should have been holding fast to it. Yes, Third World countries should be allowed to prioritize "peaceful development." And Beijing’s advocacy of this concept has been a useful counterweight to the West’s aggressive human rights diplomacy. However, when large-scale human rights violations erupt around the world, development has to give way to human rights. At the very least, the two should be equally important. While these in-progress economic disasters are worth noting, it is also important to assess if these are actually applicable to the Philippines. The following table presents points-to-ponder when assessing the likelihood that the Philippines will follow the same downward slide. "Wouldn't the Philippines be better able to gamble with China?" "Should they even be compared?" "Given the strength of the Philippine financial sector . . . would it really make the same mistakes as it pursued the 4th option?" Only time will tell. However, as the next posts will illustrate, disaster is not a forgone conclusion when dealing with China and the BRI. Another country whose finances are under Belt-and-Road-Initiative (BRI)-driven stress is Pakistan. In June of this year, Pakistan had to avail of a $1B emergency loan from China to address a foreign exchange crisis. The loan boosted Islamabad's reserves to cover two months of imports. Imports that were made necessary by machinery acquisitions related to the China-Pakistan Economic Corridor (CPEC). The Center for Global Development, a Washington-based think-tank, identified 68 countries that were potential BRI-borrowers, and concluded that among this number 8 were likely to face challenges servicing their debt. The country that flagged as facing the largest risk is Pakistan. Whatever the outcome of this BRI-generated crisis, Pakistan remains an example of a country that chooses to gamble on their ability to beat China at its own game. Pakistan's reaction to these ominous warnings is a simple . . . albeit risky . . . geopolitical response. The basis for this belief is simple: China needs Pakistan . . . and Pakistan knows it. 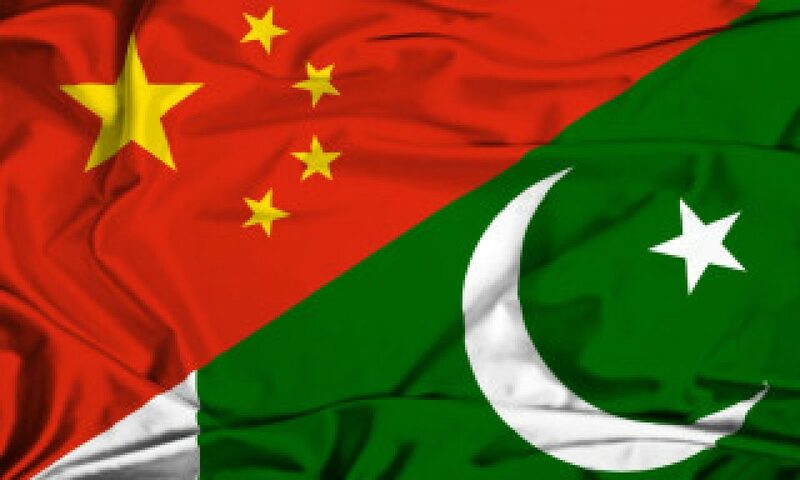 A failed Pakistan not only represents a loss of investment, a loss of a friendly hedge against India, it will also be a liability on China's border. 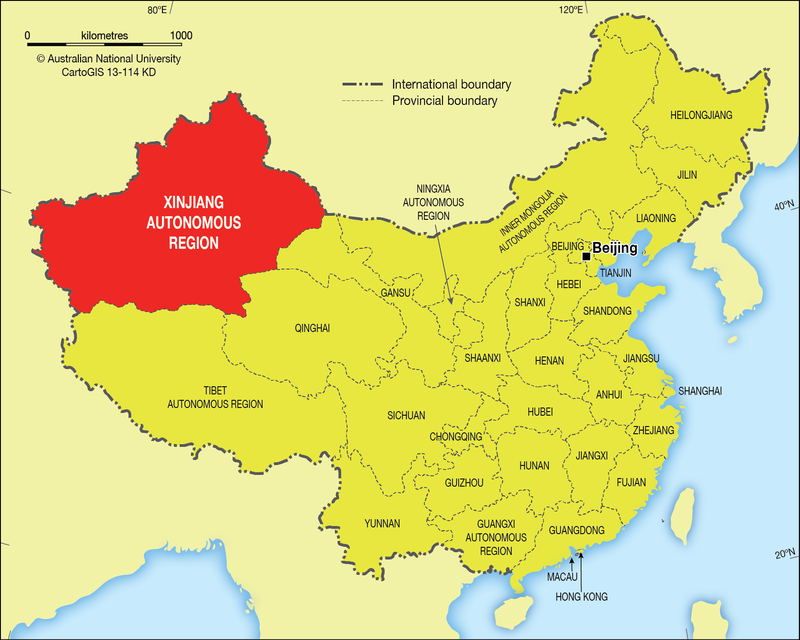 A border with its Xinjiang province — the home to its problematic Muslim Uyghur population. An unstable Pakistan is a potential for avenue for extremist fighters that could potentially stoke the fires of Uyghur nationalism. Beijing has strong incentives to exert control in Xinjiang. The Uyghurs pay the price. The Uyghurs, one of the largest ethnic minority groups in China, have an unfortunate lot. As a group, they possess two key factors which encourage the ruling Chinese Communist Party (CCP) to repress them. First, they have a strong ethnic identity which is separate from the principal Han ethnic group which dominates the CCP. Indeed, many Uyghurs are beginning to view a major component of their identity as “being non-Han.” Second, the land they inhabit, Xinjiang Province, is rich in resources and economic importance. It holds one-third of the country’s natural gas and oil reserves in addition to large deposits of gold, uranium, and other minerals. Renewable energy also factors in: Xinjiang is a prime location to harvest solar, wind, and nuclear energy. Moreover, Xinjiang sits along the historic Silk Road, which the CCP is intent on rebuilding via its Belt and Road Initiative. The Chinese Communist Party views Xinjiang Province and its Uyghur population as a potential hotbed for separatism, what the party terms “splittism.” This stems from the Uyghur’s strong and non-Han ethnic identity. Further, the Uyghurs are concentrated in Xinjiang; 49 percent of Xinjiang’s 20 million people are Uyghurs, and few Uyghurs live in China’s other provinces. This density, the CCP believes, adds fuel to secessionist fires. A major component of the perceived difference is religion: the vast majority of Uyghurs are Muslim and consider Islam a defining part of their ethnic identity. In addition, Uyghur literary and cultural traditions differ greatly from the Han Chinese, often seeing the Han as foreign imperialists while Uyghur historical heroes are those who fought against the Chinese empires. The Uyghurs do not even speak a Chinese language; their language, simply called Uyghur, is a Turkic tongue using Arabic script. 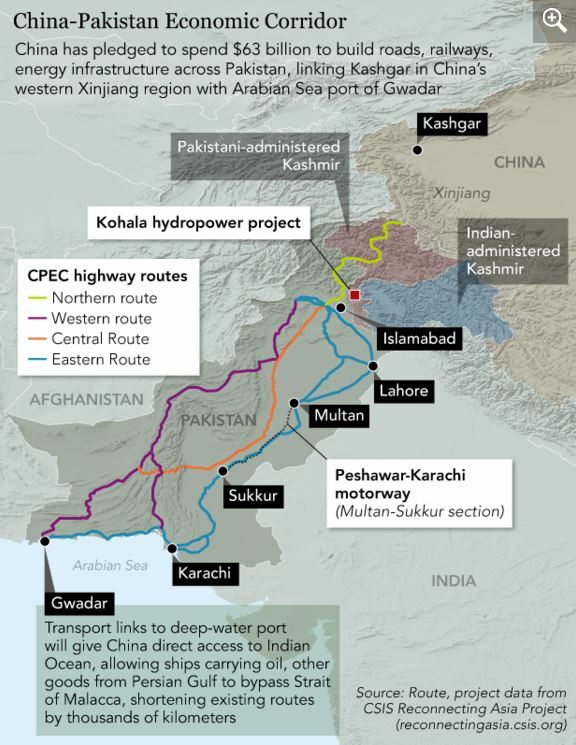 The China-Pakistan Economic Corridor (CPEC) connects the Uyghur nation, which China refers to as the Xinjiang Autonomous Region, with access to the Indian Ocean, thus opening it up for economic development with all its pacification benefits. For this reason, it is unlikely that China would ever "turn off the tap" on aid to Pakistan. In light of the latter, it would be reasonable to ask: "Who REALLY has who over a barrel"? Only time will tell if Pakistan's pact-with-the-devil bears fruit. Pakistan's solution, however, will only work for Pakistan. It is not a model that can be readily replicated by other nations developing their own solutions to the problem posed by China's rise. Nevertheless, it remains noteworthy for its home-grown character, driven by its own agenda and not those of external influences. Despite the well-publicized problems related to participation in BRI, not all countries that choose to engage China are actually automatically at a disadvantage. Duterte's critics who've latched on the Sri Lankan experience with Chinese loans as evidence of treason, have chosen to dwell solely only on situations where Chinese aid is used irresponsibly. They ignore instances where countries have entered into Chinese arrangements with eyes-wide-open and with a proper plan. 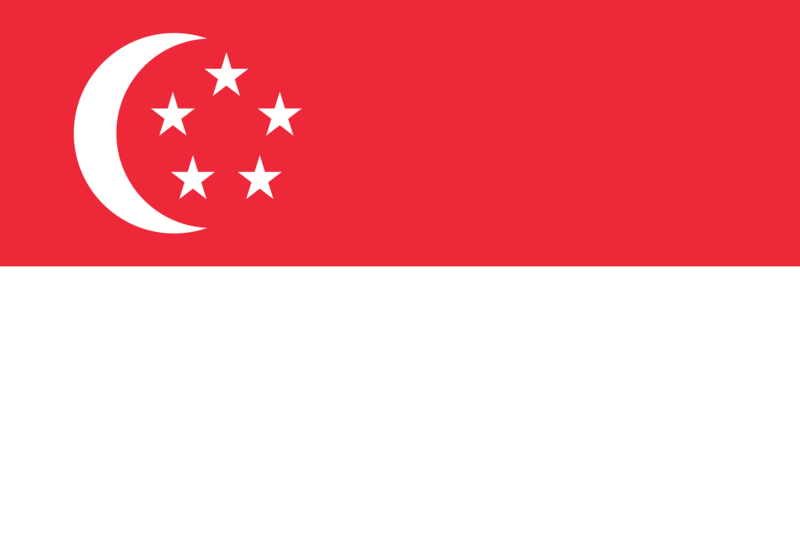 The following are examples of countries that appear to be holding their own. China's Belt and Road initiative: What's in it for Israel? 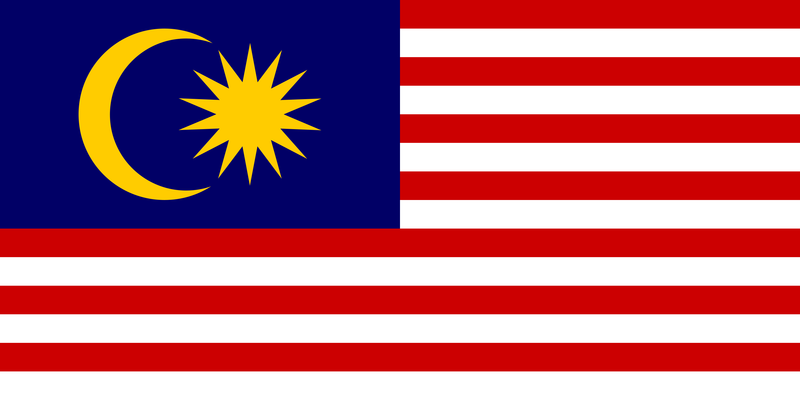 China’s Belt and Road: What’s in it for Malaysia? 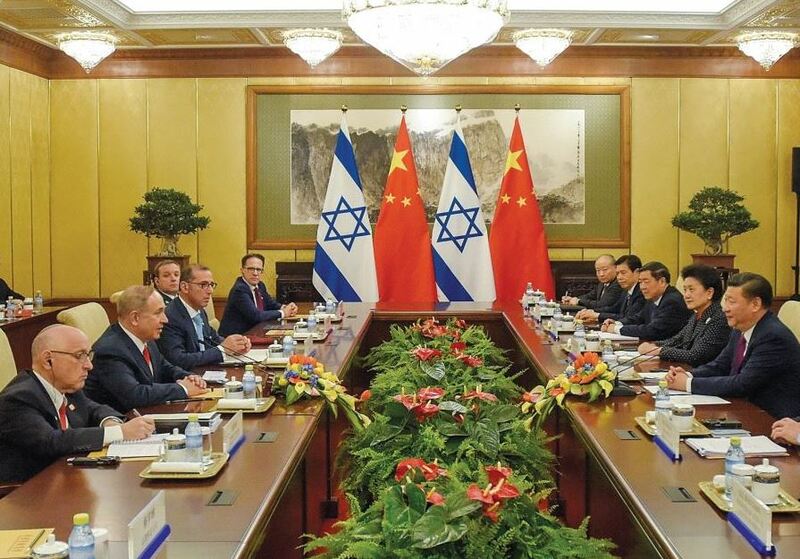 Israel's perspective on its dealings with China merit a closer look. It is food for thought for pundits who have come to equate Chinese engagement with either treason or disaster. The following article looks at the baseline conventional-wisdom commentary about the challenge to the established world-order that the Belt-Road Initiative presents. 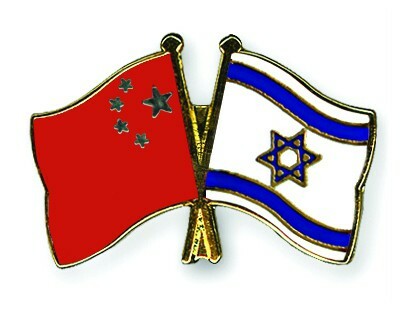 The initiative is "the new game in town" for China - and perhaps Israel. What is Belt and Road, broadly speaking? Richard Griffiths is a professor of international studies at Leiden University in the Netherlands. His recent book, Revitalising the Silk Road: China’s Belt and Road Initiative, takes a long-term, historical perspective of the Silk Road trading routes. Griffiths shows how the Silk Road – by connecting Europe to Chinese civilization thousands of years ago – reshaped much of the world’s commerce and culture. He then looks at how Xi is reinventing the memory of this ancient route for our times. Right off the bat, it’s easy for Westerners to be skeptical. We are used to seeing European countries or America as the privileged players when it comes to these kinds of global investments. China, in this sense, seems the undeserving upstart. “Because it is China, and because China is a ‘rising power,’ the initiative has been greeted by suspicion and scorn – its ambition derided and its occasional setbacks magnified to the point of ridicule,” Griffiths said. As with many matters, context is everything. Griffiths continues to provide context that deserves to be taken with a grain of salt, BUT should not be dismissed outright. To do so could very well result in a misreading of both dangers and opportunities. Instead of heaping on more disparagement, Griffiths offered three points to better place China’s efforts in context. First, he said, China’s plans to improve its energy and transportation position in Eurasia are not new. Second, China has been part of these planning efforts, though not as the leading partner. Third, national and international aid organizations and private businesses have been, and still are, active in constructing infrastructure in the region. The last line above summarizes what is both good and bad about China's unprincipled use of its resources. In the hands of depots, dictators, and other heads of state whose governments are not truly accountable to their respective populations, China's loose vetting process for its credit facilities can result in financial ruin for these countries, resulting in one-way benefits for China. In contrast, when Chinese largess is put in the hands of technocrats who are taking calculated risks . . . the results are potentially much more favorable. So, what does Israel stand to gain from it all? Israel is already gaining and can do so directly, Griffiths said. But Israel can also gain indirectly, Griffiths said. The second half of the article, below, dwells on the opportunities that an alternative to existing funding vehicles (e.g., Asian Development Bank, World Bank, etc.) provides to any country inclined to use them. It also emphasizes that the end-goal encompasses both geopolitical and economic victories. Offering another perspective on Israel’s interests in the initiative is Alexander Pevzner, founding director of the Chinese Media Center, the only Israeli outlet that engages Chinese media in systematic dialogue over important issues and professional exchange. 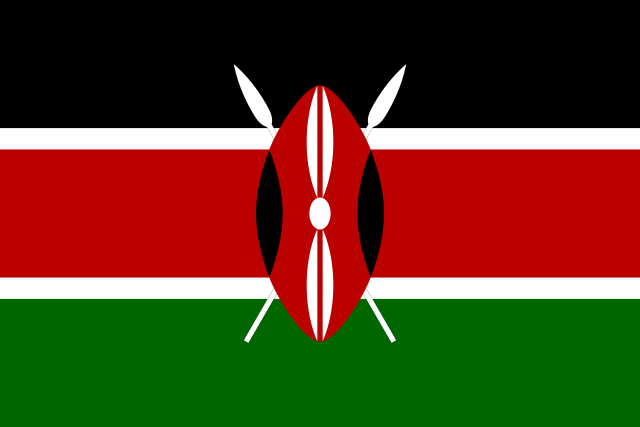 The center endeavors to promote understanding between the two peoples, thus enhancing bilateral relations. It’s a bit like the EU, not in the sense of political, but of economic integration, Pevzner said, and as such, it offers an opportunity for Israel to participate in economic cooperation on a global scale. “If you are not there at the table, you miss out by definition,” he said. THIS IS why Pevzner believes Belt and Road is so vital to Israel’s interests. Just by being involved in it, sitting at the table, Israel has a connection to countries with which it does not have diplomatic ties. “So even if the immediate economic benefits are not so obvious – though I think there are and will be such benefits – it’s important for Israel just to be there,” he said. But why have Muslim countries not opposed Israel’s participation in Belt and Road like they did for other international investment groups? 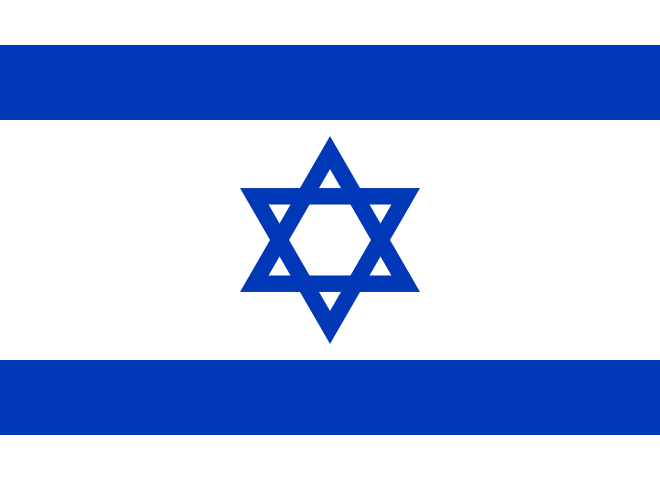 Pevzner cited Israel wanting to join the Asian Development Bank in 1993. In the end, it couldn’t because Muslim countries were opposed. Like Pakistan, Israel made its own geopolitical reckoning about what involvement in the BRI meant for them. As shown above, it wasn't all for the specifics of China's credit facilities. There were other far-reaching considerations. 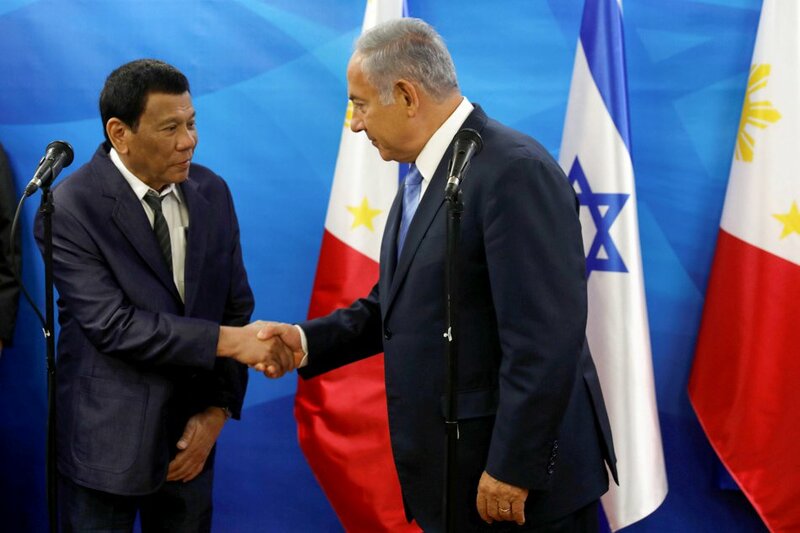 Israeli Prime Minister Benjamin Netanyahu (right) shakes hands with Philippine President Rodrigo Duterte during their meeting in Jerusalem on Monday. President Duterte is also scheduled to meet with President Reuven Rivlin and witness the signing of several partnership agreements with Israel. As already stated earlier in this thesis, Indonesia was also mindful of the opportunities that continued relations with China would provide. 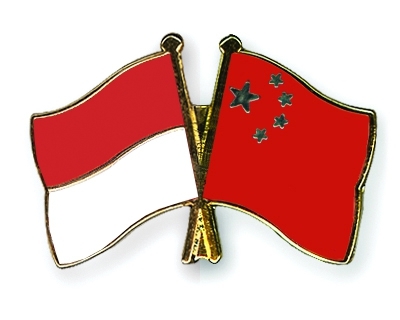 Jakarta, (ANTARA News) - Indonesia and China have signed five cooperation contracts worth US$23.3 billion under the Silk Road Economic Belt and 21st Century Maritime Silk Road initiatives. "We want to see continued cooperation not only between the governments but also investors of the two countries," Coordinating Minister for Maritime Affairs Panjaitan noted in a press statement released on Friday. As the Indonesian president`s special envoy to establish strategic cooperation with China, Panjaitan highlighted the importance of encouraging business relations between both nations in line with the national interests. In the Philippines, Duterte's critics have seized upon his public inclination to avail of these Chinese loans as further evidence of Duterte's intention to "sell out" to China. They point to Sri Lanka, Laos, the Maldives, and a host of African countries as cautionary tales about the dangers of availing of Chinese assistance in pursuit of projects related the Belt and Road Initiative. Going so far as to equate dialogue with China with either treason or disaster. 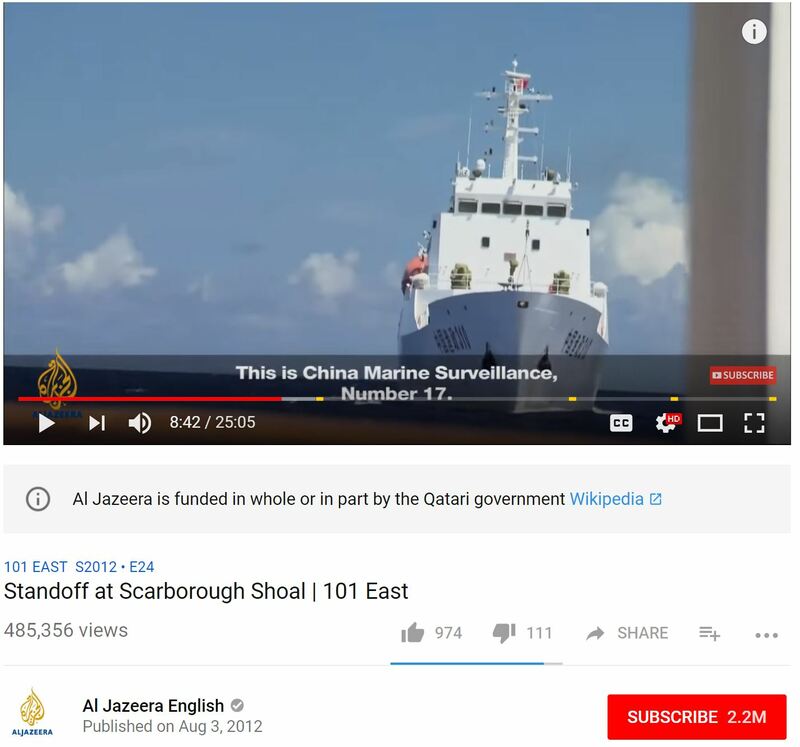 These same critics, however, are either oblivious -- or have chosen to ignore . . .
. . . how Israel is parlaying access to Israeli tech, and participation in the BRI c/o of the Port of Haifa, to find common ground with its erstwhile enemies in the Arab world, with China as mediator . . .
. . . how Indonesia has its railway projects and its economic engagements with China. The Philippines must make its own calculations. Today, such assessments come in the form of the 4th option. Previous posts have already established that open war and surrender are unacceptable options. These posts have also outlined how Justice Carpio's preferred "third option" -- which puts all its faith on the US-PH Mutual Defense treaty, without a proper assessment of how that treaty really works -- actually lacks a meaningful end-game. In the final analysis, the Chief Justice's much publicized pronouncements are more of a defeatist, "bahala-na", prescription for "how not to lose" rather than a proper strategy for winning. To achieve what Carpio wants to do, Duterte's "4th option" -- which reduces PH-CN tensions while building up its economic defenses -- needs to be given the leeway to work. That means continuation of the administration's continued use of use of low-key -- bilateral -- communication. Demands for open diplomatic protest over China's infractions — despite the establishment of grievance mechanisms — are actually counter-productive, run counter to efforts to dial-down the rhetoric, and undo the progress made in support of the 4th option. 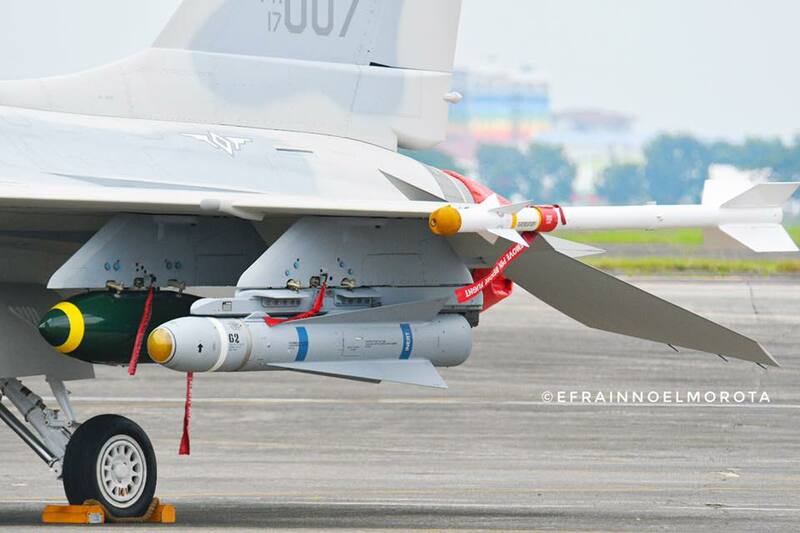 The financial-deterrent built up as a result of engagement with China, as well as the windfall benefits for the AFP modernization program, would be undone . . . and we would be back where we started in 2016: Waiting for China to resume its island building campaign without any realistic strategy for keeping such a catastrophe from happening. The goal of the 4th option is to give China a incentive to respect Philippine law and obey Philippine instructions. That incentive is based on the threat of financial retaliation -- not military force. Picture a scenario where the Philippines unilaterally decides to default on its debts to China in retaliation for violations of the red lines that DFA secratary Cayetano laid out in May of this year. This will adversely impact the Chinese financial institutions that are party to these loans, and would thus create powerful voices of dissent within China about their own actions towards the Philippines. The ripple effects of this action upon other countries who are themselves holders of Chinese debt would intolerably unpredictable for a China. More on this point later in this thesis. The effectiveness of that incentive is proportional to the risk that China faces if it violates Philippine law and directives. For that reason, calibrated exposure to Chinese debt is actually an investment in the country's overall defense posture. As outlined earlier, Pakistan and Israel have -- thus far -- all shown examples of how BRI investments can be made to work. Both have found their own respective, unique, approaches for managing risk with reward. The Philippines needs to distill these examples and develop its own equivalent initiatives. By the administration's calculation -- for good or for ill -- it apparently found part of the answer in its build-build-build program. For the same reason that discussions about defense cannot be viewed in isolation -- it cannot just be about fighters, missiles, frigates, and other weapons -- the "build, build, build" program also cannot be viewed purely as being about infrastructure development or be measured bythe associated loan interest rates alone. It's value can only be properly assessed in terms of how it well it keep China at bay . . . and compliant. The 3rd option actually needs to be pursued AFTER the 4th option. Only through progress with the 4th option can the Carpio approach even be contemplated . . . if it remains necessary at all. The Philippines only has so many bridges and infrastructure projects it can build. It cannot afford to build indefinitely. So the measures outlined in steps 1 and 2 can really only go so far. To maintain, if not improve, the ability to strike back at China financially the Philippines actually needs to further broaden its economic engagement. At some point . 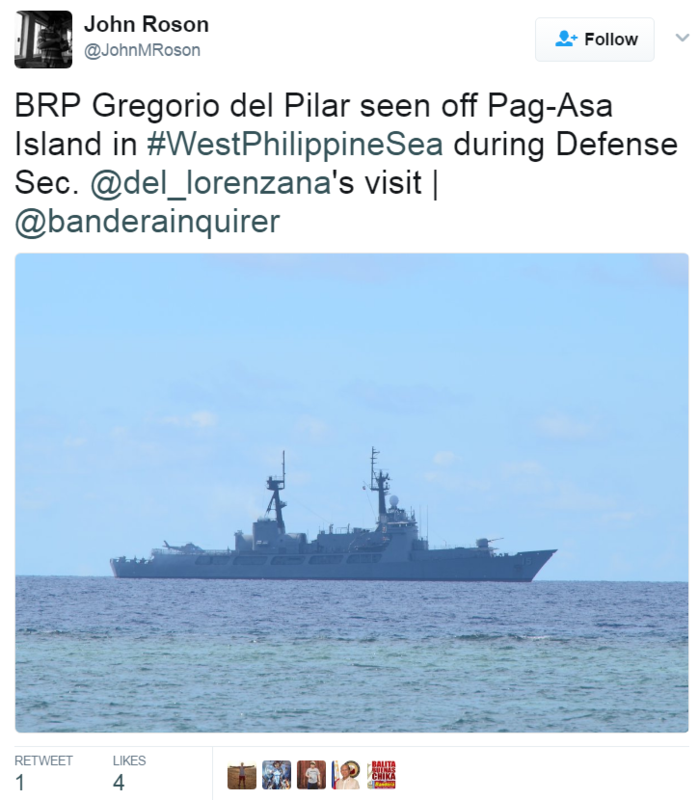 . . the Philippines has to talk about the West Philippine Sea. This is where discussions about the future of the 4th option becomes purely theoretical, as Duterte is unlikely to see the endgame of this gambit within his Presidency. Without indications about who the next President will be, and what his or her policies will be vis-a-vis the current template, all that any observer can offer is wild speculation in the form of "usapang barbero". What is clear, however, is that the future of exploration ventures in the WPS will have to be a collaborative effort among multiple countries . . . to include unwelcome guests such as China. With the settling of territorial claims being unlikely in this generation, the most that could reasonably be expected is some form of a treaty between claimant nations. Malacanang highlighted this need in March of this year with the following statement. However, Roque said the same does not apply to SC 72 as there is an ongoing dispute in the said area between the Philippines and China. SC 72 was awarded to Sterling Energy Ltd in June 2002. It is located in the West Philippine Sea, west of Palawan Island and southwest of the Shell-operated Malampaya Gas Field. SC 72 covers 8,800 square kilometers. “As to [SC] 72, the agreement on joint exploration will be governed by international law because there has to be a treaty to be signed between the Philippines and China first on the joint exploration before it can be implemented by juridical entities of the contracting states,” Roque said. “That’s why if we enter into an agreement, we’ll have to spell out the respective rights and obligations of the parties by way of a compromise,” he added. The Philippines and China have agreed to set up a special panel to work out how they can jointly explore oil and gas in part of the South China Sea that both sides lay claim without having to address the explosive issue of sovereignty. China claims most of the South China Sea, where $3 billion in sea-borne trade pass every year, and has competing claims in various parts of it with Brunei, Malaysia, Taiwan, Vietnam and the Philippines. “It’s just the start of a process,” Philippine ambassador to China, Chito Sta. Romana, told reporters late on Tuesday after diplomats from both sides met for the second time under a bilateral mechanism aimed at defusing longstanding maritime tensions. He said the decision to form a working group on cooperating on energy was a “breakthrough”. Forming an agreement for a joint project would be extremely complex and sensitive as both countries claim jurisdiction of the site of the oil and gas reserves, so sharing them could be deemed legitimizing the other side’s claim, or even ceding sovereign territory. The idea of joint development was first hatched in 1986, but disputes and the sovereignty issue have stopped it from materializing. But time is of the essence for the Philippines, which relies heavily on energy imports to fuel its fast-growing economy. That is complicated by estimates that its only domestic natural gas source, the offshore Malampaya field, will be depleted by 2024. MANILA-- President Rodrigo Duterte has approved the establishment of a technical working group (TWG) on the Philippines-China joint exploration in the disputed West Philippine Sea, Foreign Affairs Secretary Alan Peter Cayetano said Tuesday. "I just got his approval in principle, but I can tell you that the areas where I want to have experts at the highest level, meaning we have Cabinet level," he told a press briefing in Taguig City. For the environment, Cayetano said the TWG will have representatives from the Department of Environment and Natural Resources; for oil and gas, the Department of Energy; for security, the Department of National Defense, National Security Council, National Intelligence Coordinating Agency and the Department of the Interior and Local Government. There will also be a legal team, composed of the Department of Justice and the Office of the Solicitor General to advise and help in the negotiation stage. "In our arbitration award, we had a team, there's a legal team. In this case, it's not a legal team that's going to file a case, but a legal team that's going to advise us and help us negotiate," he said. The legal team will focus on three components -- on oil and gas, on Constitutional law, and on the United Nations Convention on the Law of the Sea. Cayetano also disclosed that the Chinese side is ready with its own technical working group. "I'll let them make their own announcements. But as soon as both sides have working groups, at least we can talk. I'm not sure if we can agree but at least we can start talking." Cayetano said the timeline is still "as soon as possible." With the creation of working groups on both sides, he said they are hoping to finish the draft framework by September 2018. "I am even more optimistic that we can come up with something by September. I've always told you it can happen tomorrow, it can happen in a year, but why are we rushing? Because Malampaya will run out in 2024," Cayetano said. Cayetano maintained that any deal on the joint exploration talks will be in favor of the Philippines, which may be equal to the 60-40 Malampaya sharing or even better. "Malampaya is structured on 60-40 but we're negotiating for better than that," he said. Cayetano clarified that same as China, the Philippines also has an "indisputable claim" in the strategic waters. But opting for a joint exploration talks instead of settling the territorial dispute first does not necessarily mean giving up the country's sovereign rights in the region, he said. "We also have indisputable sovereignty over our territory which is defined by the Philippine Constitution, and we also have indisputable claims under the UNCLOS. But again, where do we take it from there?" He said if the country is to wait for a decision on territory, "it might take forever." But the decision to complete the step to its logical conclusion, or to pursue a completely different tack, is purely the purview of the Philippine Senate. No President can make unilateral decisions on territorial integrity. The financial deterrent created by the 4th option only works if China values PH-CN relations, and fears the financial retribution that the loss of that relationship brings. China's financial self-interest becomes integral to the country's defense. However, if China actually decided to test Philippine resolve and violate one of the "red lines" laid out by the Department of Foreign Affairs, how would the Philippines respond? - Key build-build-build projects are either already underway or have already been completed, with calibrated percentage of these projects paid for by Chinese loans . . . in accordance with the "4th option"
- At a minimum all Chinese-operated petroleum service contracts, in Alegria and Calamian are producing oil and generating income for the Philippines. Others Service Contracts, within Philippine territory, operated by other countries (e.g., Sulu) may also be operational. The scenario lays out a sequence of events that would follow a Chinese violation of the Ayungin red line, and presents one way that Malacanang could use its retaliatory options. 2. The PH uses the PH-CN bilateral communication mechanism to protest the action, but to no avail. 4. Philippines announces a moratorium on loan payments to Chinese banks in retaliation the red line violation, resulting in billions of dollars of losses. Malacanang declares that the moratorium stays in place until Chinese troops release AFP personnel on the Ayungin garrison, withdraws, and compensates the Philippines for material losses resulting from the invasion. 5. Philippines nationalizes all Chinese-held oil rigs and assets in Philippine territory to ensure their continued operation. All Chinese consultants and workers at these facilities are arrested and expelled. 6. The AFP calls up Affiliated Reserve Units (ARU) who are qualified to replace the Chinese personnel to ensure continued operation of the nationalized facilities. 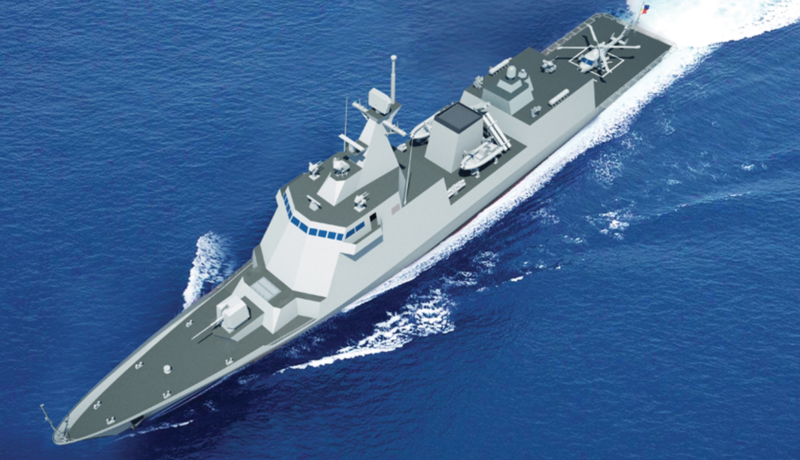 --> One Tarlac class SSV is deployed to provide Underway Replenishment capability to the frigates, serve as a local command center, and to deploy amphibious assault assets that could be used for retaking Ayungin. Both courses action will be discussed in their respective sub-sections, both of which could lead to the same positive outcome for the Philippines. With the Trade War option, China would penalize the Philippines economically for its standing up for itself, in an attempt to force the Philippines to accept a "new normal". This harks back to the days of the PH-CN banana war, but will be much far-reaching in its impact. However, unlike the last time China flexed its economic muscles in 2012, 4th-option initiatives already in place by the time of this scenario would have already put the Philippines on war-footing as far as the economy was concerned. A trade war is essentially a war of economic attrition. The side that wins is the one that cannot out-wait the other side. The nation-building benefits of the build-build-build program, designed to strengthening regional economies across the country, should allow the country to mitigate the effects of a Chinese embargo. Nevertheless, no country is immune from the effects of a trade war. Even the United State feels the sting of its prevailing tensions with China. For this reason strategic engagement with the international community . . .
. . . focusing on economic self-interest rather than military alliances . . .
. . . to force China to alter its trajectory is key. If China opts for a Trade War, the Philippines could respond with the following measures. TW 1. To manage international perceptions of the loan default, the Department of Foreign Affairs (DFA) works to assure international creditors that the default is solely targeted towards China and is not because of the country's ability to meet its debt obligations. The PH would also open discussions for replacing Chinese loans with Japanese, South Korean, and perhaps even US alternatives. Since Chinese actions have already invalidated the need for financial deterrence, the Philippines no longer needs to maintain the pretense. TW 2. The DFA, theoretically, can work with other countries suffering from Chinese debt service — such as Pakistan — to coordinate demands for loan restructuring and similar activities that would have the side benefit of disrupting the Chinese usury-economy. (See Thailand initiative). To ease this transition, these OFWs would be given similar support that workers brought back from Kuwait received during the PH-Kuwait row early in 2018. What is the Repatriation Program? Repatriation is bringing distressed workers back to the Philippines. This includes airport assistance, temporary shelter at the OWWA Halfway House, and provision for their travel back to their provinces. Non-kinetic, financial support from our allies, coupled with a coordinated attack on China's finances by way of other countries that face similar fiscal challenges with China, would amplify the effect of the Philippines' retaliation.
. . . Beijing would be forced to re-assess its Trade War calculations. Financial self-interest would force China to back off from its aggressive actions in the WPS, and could -- theoretically -- even open discussions about its illegal occupied possessions in the WPS and South China Sea. 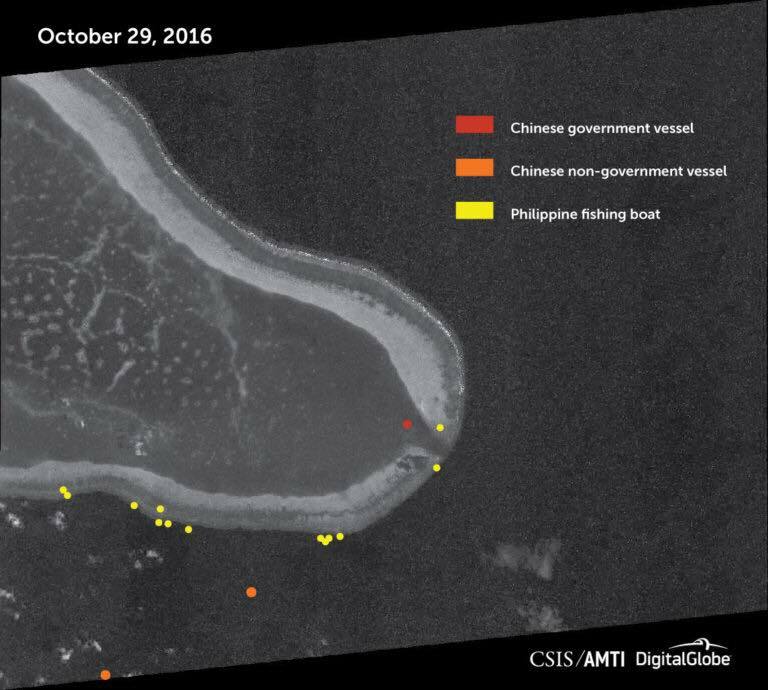 Instead of a trade-based response to Philippine retaliation, China could take punitive military action AFP forces in the WPS, to include but not limited to the take over of additional Philippine garrisons and re-imposition of quarantine conditions in Scarborough Shoal. Unlike the Philippines' predicament in 2016, economic activity generated in Step 2 should actually enable additional investments in defense with a corresponding increase in capability. But it remains unlikely that the Philippines would ever be able to match Chinese military power. While it remains important to pursue the AFP modernization program, the end-goal would not actually be to able to outpace Chinese defense spending. If step 2 & 3 of the 4th option are done right, these would benefit the Philippines' defense posture beyond the capability to acquire, if not develop indigenously, more advanced weaponry. The economic benefits of the 4th option, CAN lead to improved standing with our allies, and enhance our value as a security partner. For an example of the relationship between economic progress and the strength of defense ties, let us examine Japan. The achilles heel of the 3rd option -- which hinges on the value of the PH-US Mutual Defense Treaty as a shield behind which the Philippines would cower and pretend to be free to do whatever it willed in its EEZ -- was the absence of assurance that the treaty would indeed be triggered if China responded with force. As stated earlier, the MDT doesn't actually guarantee an automatic response, is solely dependent on the discretion of the President of the United States, and beyond 90 days from the initiation of combat operations will require approval of the US Congress to continue. b) prompt discussions about why that disparity exists in the first place. 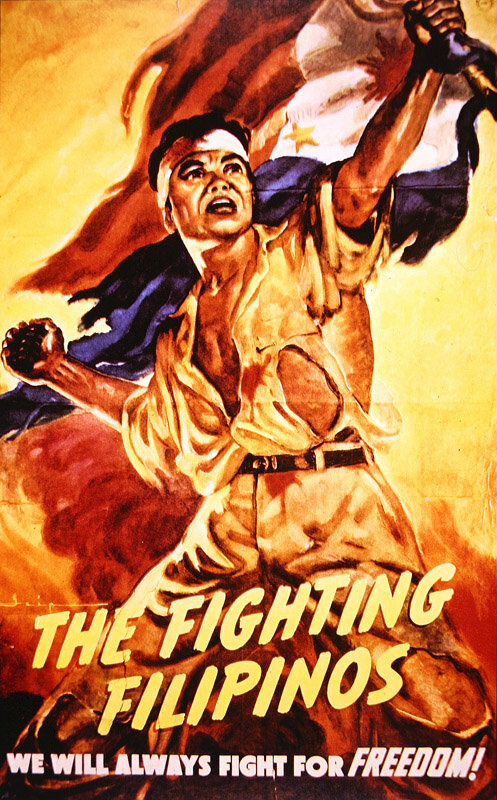 Unlike the Philippines that had been dependent on US aid and patronage for decades, opting to focus on internal security concerns at the expense of its external defense capability thus resulting in its current state of martial weakness, Japan emerged from the devastation of WWII as a true defense partner to the US. Whatever recognition the US gives to Japan's claims are commensurate to the value that Japan brings to the table and to its willingness to devote resources to defend those claims. 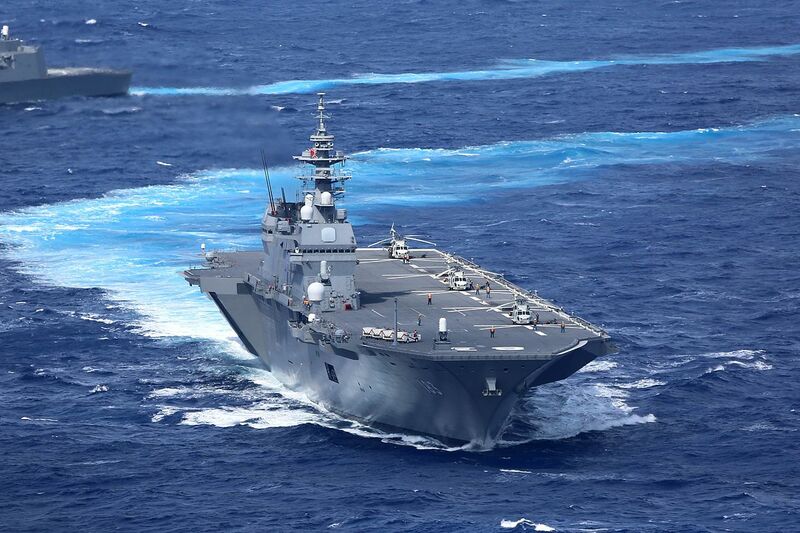 Despite having branded itself a "self-defense force", and going so far as to labeling its latest aircraft carriers as "helicopter destroyers", Japan has a thoroughly modern and potent force that is able to inter-operate with US forces. The country's investments in its defense allow it to contribute to the US' ballistic missile defense capability, care of its AEGIS-equipped destroyers and missile batteries, and adds to the inventory of stealth fighters that the alliance can call upon for its collective defense. 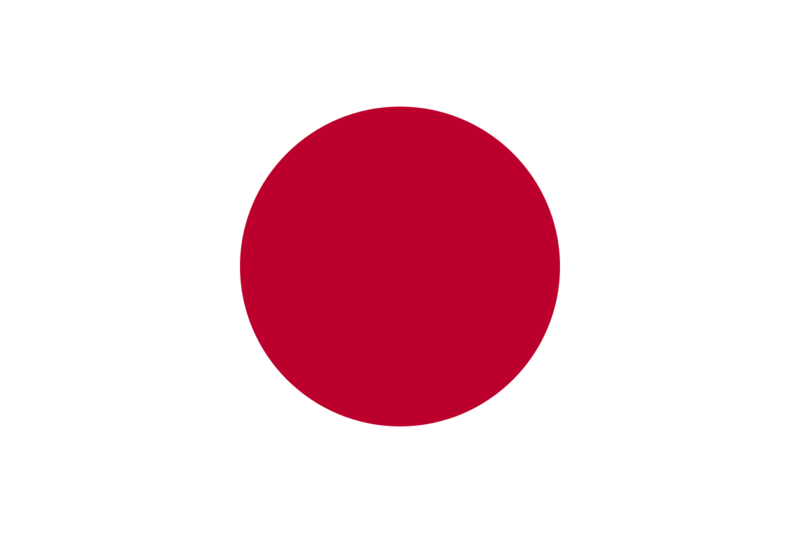 Japan earned the right to be called a TRUE defense partner. Hence was treated as such. The conventional take-off and landing (CTOL) F-35A for the Japan Air Self-Defense force (JASDF) was unveiled at the site of the Mitsubishi Heavy Industries (MHI) F-35 Final Assembly and Check Out (FACO) facility in Nagoya in central Japan. Japan is one of only two F-35 customers outside of the United States to have a FACO production facility, with Italy being the other. The JASDF is to receive 42 F-35As, of which 38 will be built by MHI at its FACO (the first four aircraft are being built by Lockheed Martin at its Fort Worth facility in Texas). Designated AX-5, work on this first Japanese-produced aircraft began in December 2015. The United States can rightfully be worried about the Philippines being a liability. Of being dragged into a fight with China by a Manila government that expects the US to do the fighting for it. Tokyo, in contrast, has demonstrated a willingness to face China alone -- in tangible terms, through palpable investments in defense. It's ability to mount such a strong defense is closely tied to the strength of the Japanese economy. While Japanese defense spending has traditionally been capped at 1% of GDP, an annual GDP in excess of US$4.9 trillion still marshalls a significant amount for defense. The US needs Japan as much as Japan needs the US. Arguably, for that reason, the US will not hesitate to openly commit itself to its treaty partner. From a US perspective, what does the Philippines really bring to the table? Why should more US servicemen and women risk their lives for yet another foreign entanglement? The lack of overt support for Philippine claims in the WPS is NOT something the Filipino people should take as a "slight". It is simply a product of our geopolitical . . . insignificance. It is . . . just what it is. Progress with the 4th option should change that. Help from our traditional allies will come AFTER the Philippines actually demonstrates its ability to look after its own interests. Integral to that demonstration is a mature, calculated, policy of engagement of China. We need to show that we can think for ourselves, and that we will not mindlessly draw our allies into a Chinese quagmire. For that reason, successful pursuit of the 4th option, is actually a precondition to the viability of the 3rd option which may -- or may not -- still be required when the time comes. This is the critical piece of the Duterte-strategy -- the 4th / Kobayashi Maru option -- that the likes of Justice Antonio Carpio and other pro-opposition pundits fail, or refuse, to acknowledge. The Philippines, as a nation, needs to come to grips with the fact that if it is to mount an effective defense against China AND entice its allies to commit to its cause, it needs to spend on defense. But to be able to spend on defense, it needs a whole-nation effort to mobilize the entire country to shift its economic engine into high-gear. The AFP modernization program has a prominent line-item in the National Budget. But the funds actually applied to the modernization acquisitions comes from the AFP Modernization Trust Fund, which can draw additional funding other sources -- to include funds designed by the Office of the President. 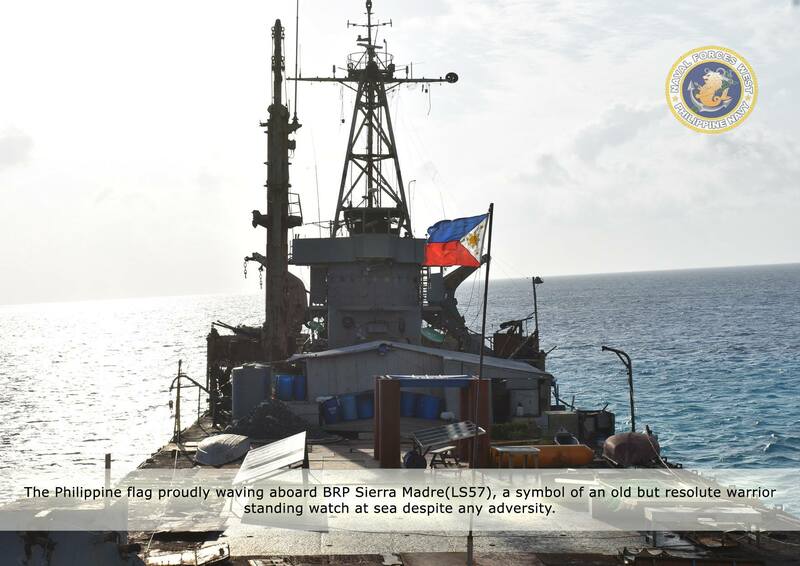 One example of the use of Executive power to benefit the AFPMTF was the use of Malampaya proceeds to fund the acquisition of the BRP Gregorio del Pilar, at least one of the Mk.I Multi-Purpose Assault Craft (MPAC), and a rehabilitated S-76 helicopter. While the controversy surrounding pork-barrel funds put a stop to the fund's use during the Aquino administration. It is not inconceivable that the combined income from Malampaya, Alegria, and potentially Calamian oil fields could applied to the AFPMTF again in this administration as part of "4th option" initiatives. 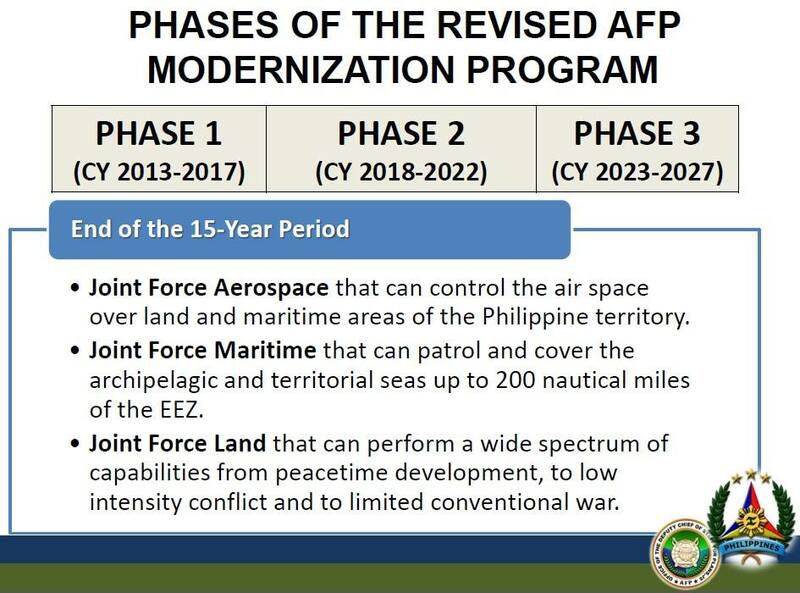 In its current incarnation, the AFP modernization program is divided into three "horizons", curated by the various planning staff (i.e., J5, G5, N5, A5). The timelines each horizon are explained in the following DND graphic. Horizon 1 was the result of the work of DND-AFP personnel working during the Arroyo and Aquino administrations, and was completed at the start of the current administration. Duterte signed off on the P300 billion acquisition list for Horizon 2 on June 20, 2018. 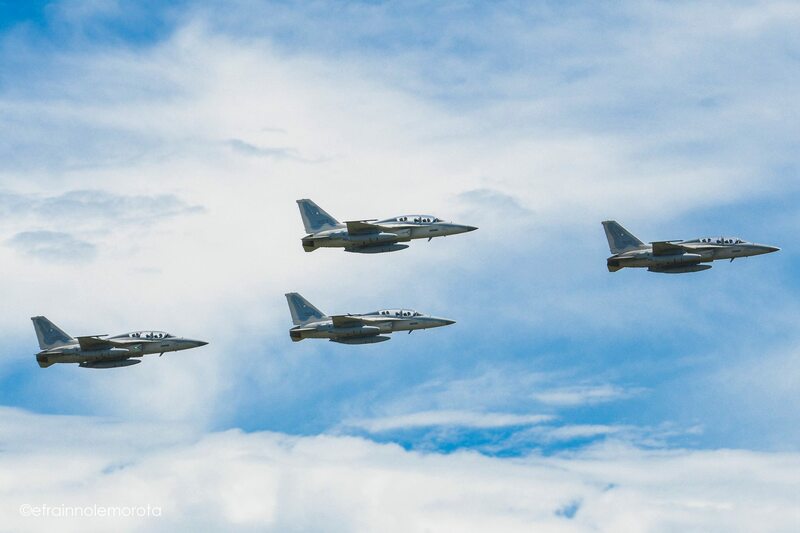 The faster the modernization program gains traction, the greater the likelihood that the Philippines' allies will view it the way it does Japan: As a country that is a full-partner in defense. Success of 4th-option funded efforts to build a credible defense posture would embolden the United States, and other allies, to OFFICIALLY and PUBLICLY recognize Philippine claims -- on par with how it supports Japan. Duterte's 4th option, therefore, would make Carpio's preferred 3rd option viable. MA 3. Finally . . . and most importantly . . . the United States OFFICIALLY and PUBLICLY declares that is recognizes the KIG as part of Philippine territory, and that any and all military action that violates Philippine sovereignty would be treated as an attack on the United States itself and would merit a military response . . . forthwith. Regardless of whether or not China resorts to a trade war or military action, with the 4th option the Philippines will be able to mount an independent response, that will benefit from international support, but will not require international participation as a pre-condition for any action in the first place. This will probably be the first in a series of posts. This will take some time. I credit Sir Adroth on the sheer scale and comprehensiveness of the thesis that he has submitted before the group. It's thoroughness mandates that an equally comprehensive critique is in order. And to be honest, given my current busy work schedule, I am having trouble finding time to do this in one sitting. And so the succeeding posts will come as they will, piece by piece, and will take segments of Sir Adroth's thesis to offer commentary and critique. My thoughts are not intended to either support nor criticize the thesis before us. But rather offer different analysis, points of view, and outlooks which may add to and/or provide alternative viewpoints to the thesis. Most importantly, this is intended to stimulate discussion and dialogue, both here in the mother forum, as well as the Facebook honeypot. With any luck, I hope that it will also further discussion in the larger Philippine defense community.